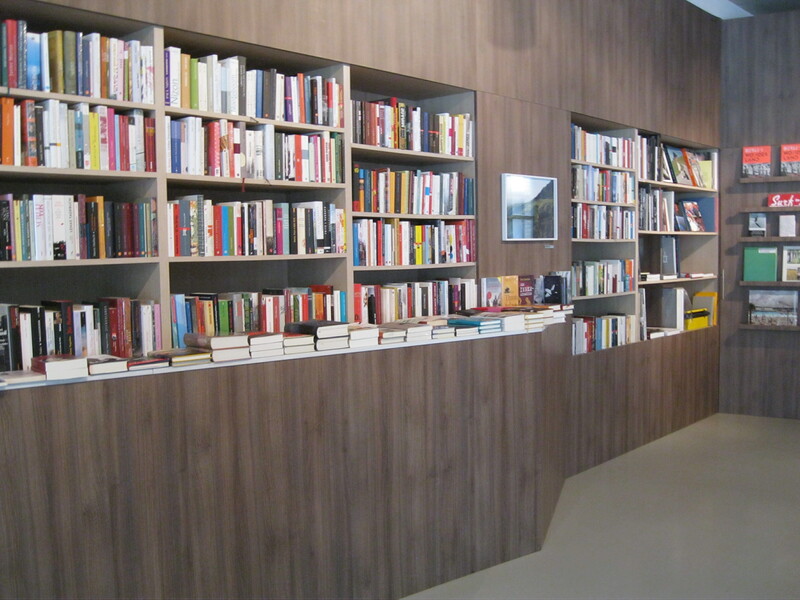 If you asked me to describe my perfect bookshop, it would look nothing like Ocelot. 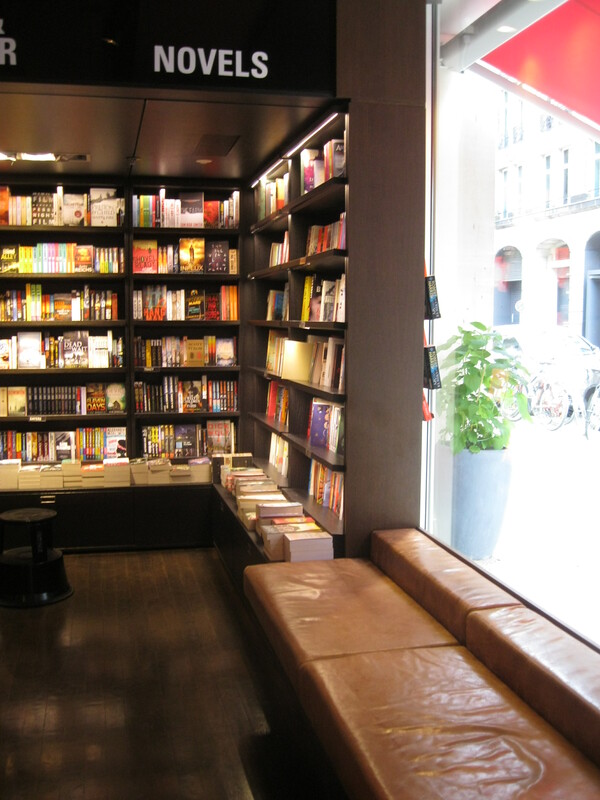 It would be small and dark, warm and quiet, disorganised and absolutely crammed with books. 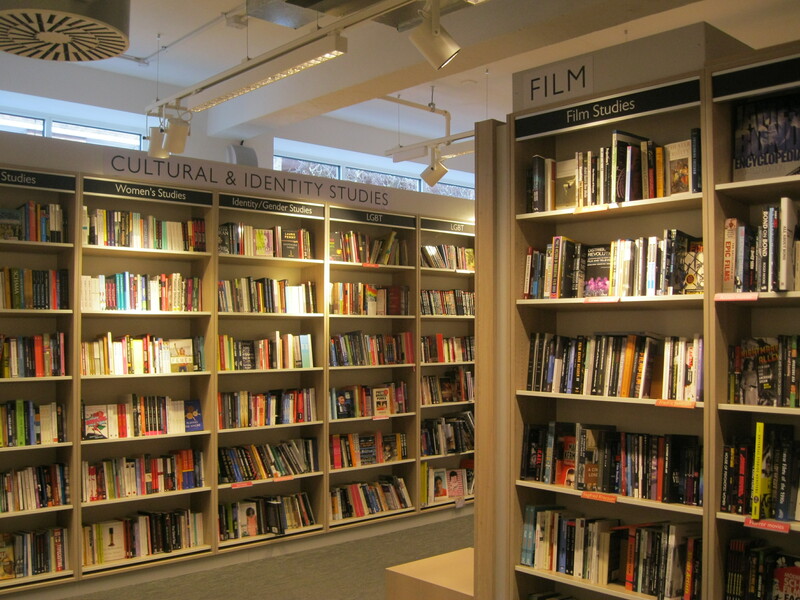 It would certainly not be sparse, modern or filled with what they call ‘clean lines.’ I may sounds like a curmudgeonly old person, but this is not how a bookshop is supposed to look. So why, then, do I love it so much? 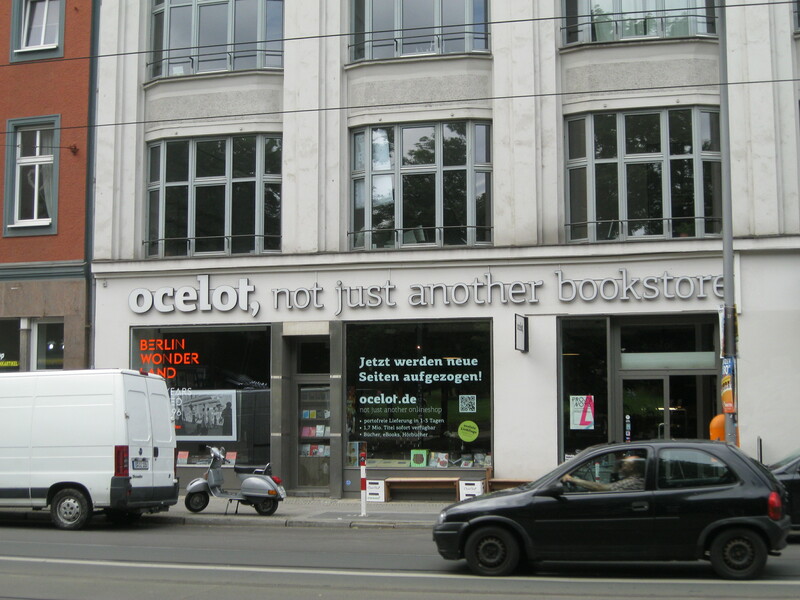 I happened upon Ocelot during a morning stroll through the trendy Mitte district of Berlin. I stopped for a quick cup of tea and a croissant in uber-hip St Oberholz cafe near Rosenthaler Straße and couldn’t help but despair a bit at the sight of so many bearded young people staring at screens which ostensibly held the beginnings of their great novels, though it kind of looked like they were just playing Words with Friends. I was put in the mood for another kind of coffee shop so I made my way to Ocelot. 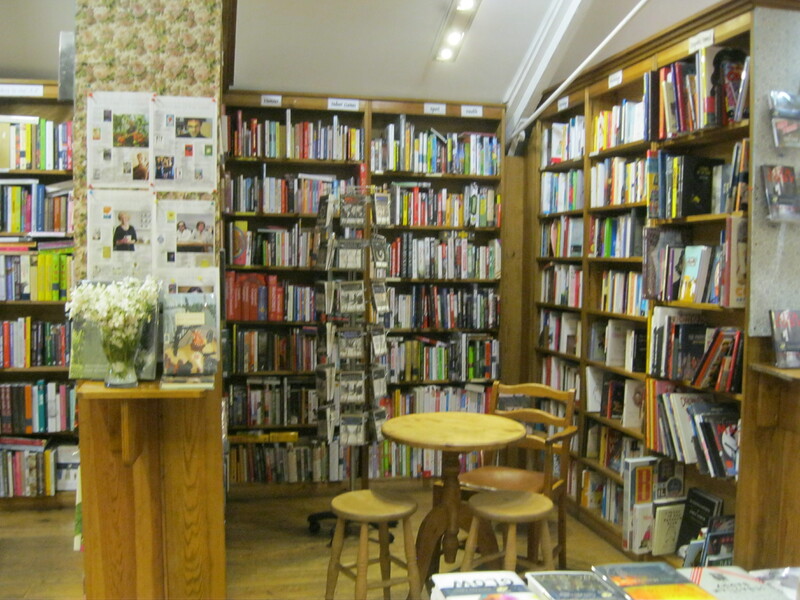 I’m told the coffee you can buy in the bookshop cafe is excellent, but I was more interested in the books. 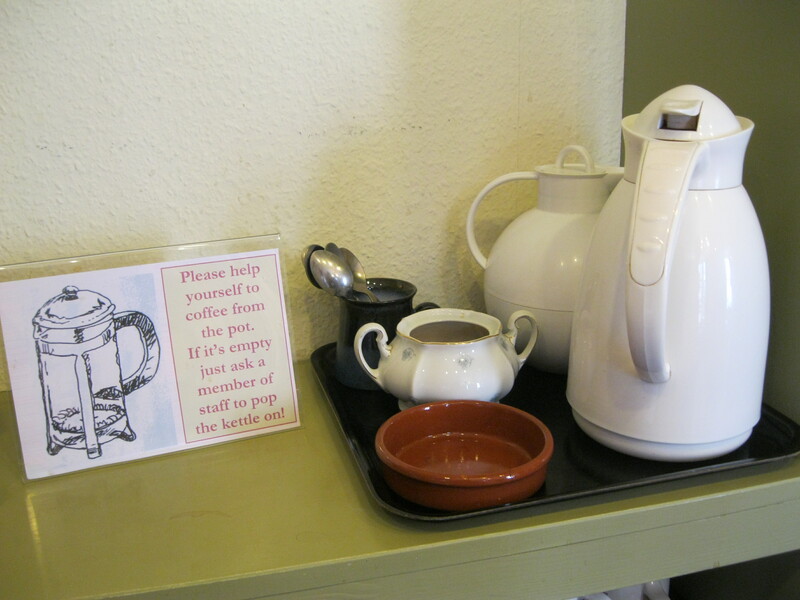 Still, the quiet chatter and the gently clinking of cups and spoons make for a nice atmosphere. Ocelot is not the kind of cathedral to the glory of books that I love; it’s more like a Greek agora. It’s still a serious place where great minds come together, but you’re allowed to chat and get your hands a bit dirty rather than being consigned to silence and awe. 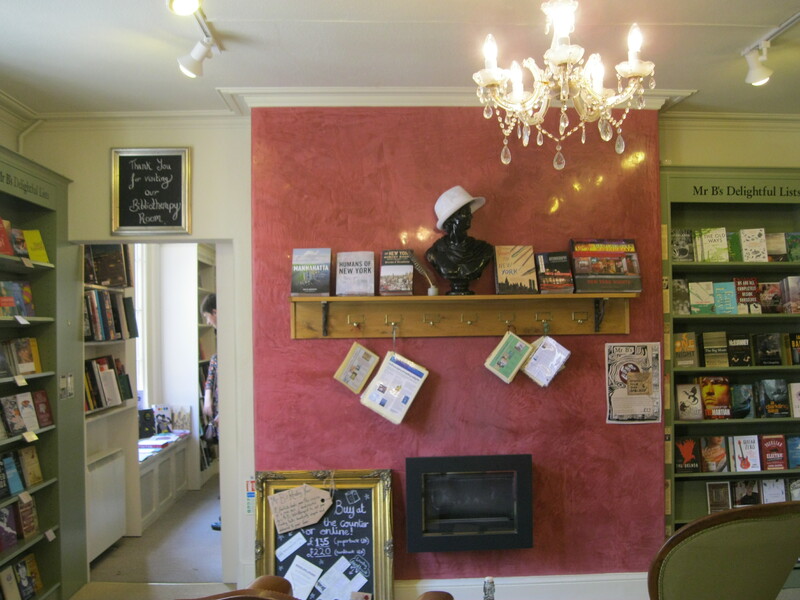 Ocelot is a fun, open and inclusive space, as any bookshop should be. It doesn’t matter why you’re there, it’s just great that you are. 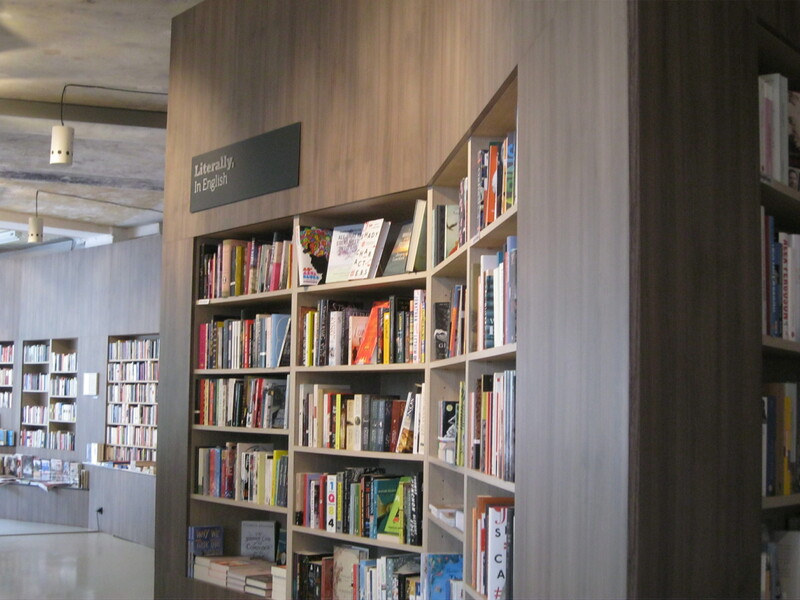 The bookshelves in Ocelot are stylish and fun, with an excellent selection of hardcover books showing off their spines as they peep out of little holes and ledges that make even this dark wood seem open and keep the shop from feeling oppressive. 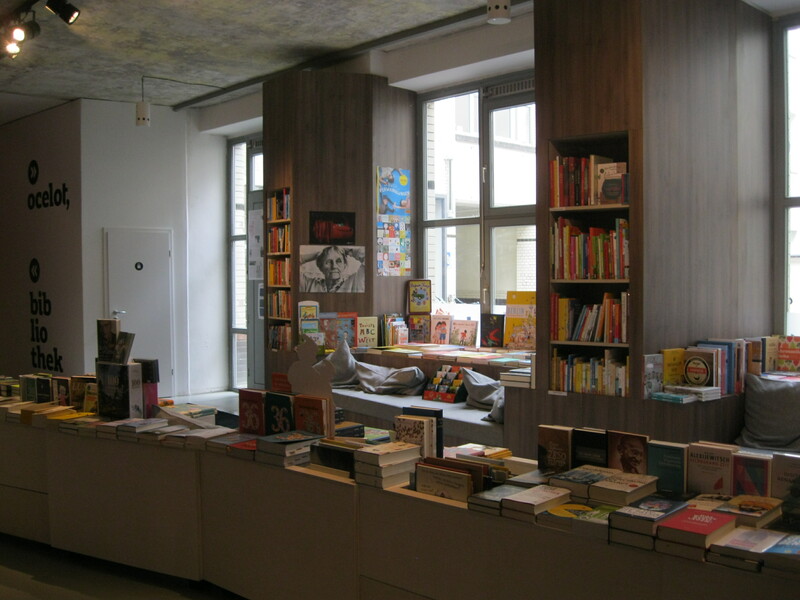 The way they curve around the corners of the bookshop and ripple like waves makes you feel like they’re just begging for you to play, to skip along like a child in a German folk tale, deeper and deeper into the woods. Only unlike in the folk tales, there’s nothing too sinister awaiting you; you’ll quickly find the bright and beautiful clearing where you can take your shoes off, nestle down into the grass and lie in the sun letting your mind take you on any number of adventures. 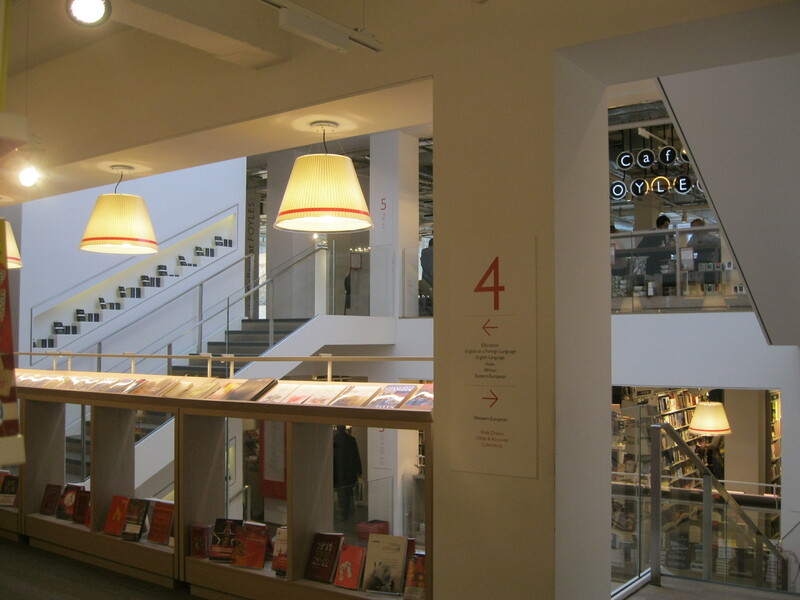 One of the most interesting paths you can take is the one leading to Gestalten, an excellent German publishing house which creates big, gorgeous books (worth buying and owning in their own right and totally immune to comparison with a digital ‘book’) on a whole range of subjects. 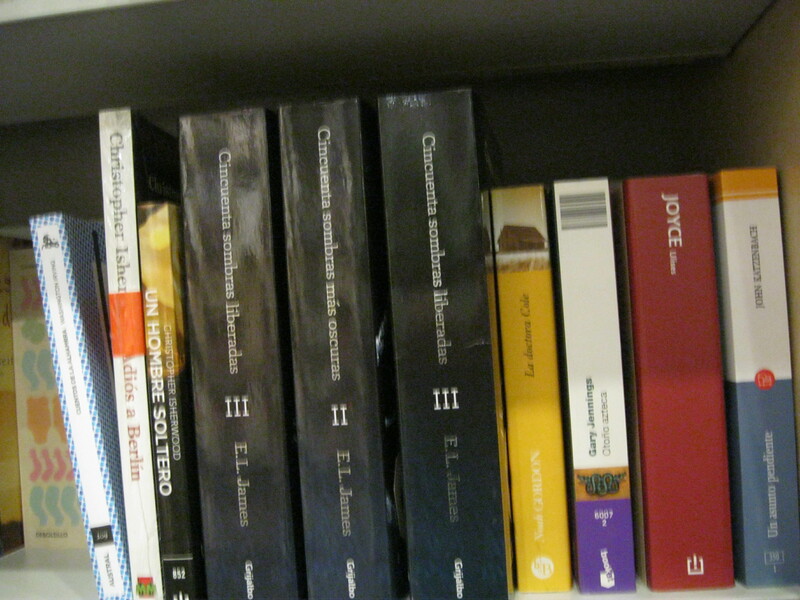 Ocelot has Gestalten books on almost every surfa ce and in almost every section. Clearly someone here is a fan and so am I. 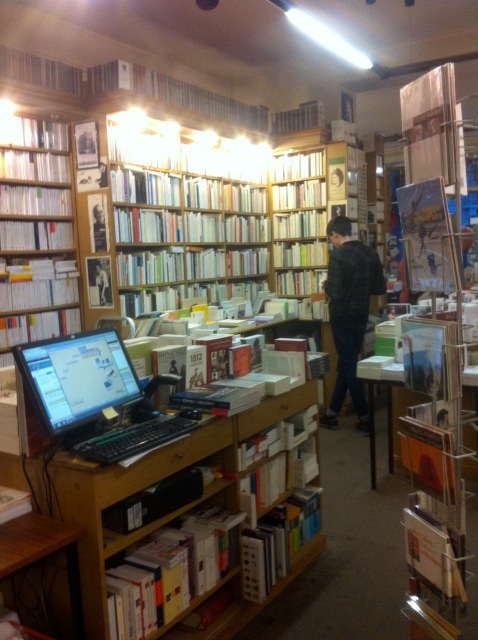 One of my favourite things about rummaging through bins in the basements of bookshops is that I come across so many inspiring independent publishing houses that I never would have heard of otherwise. 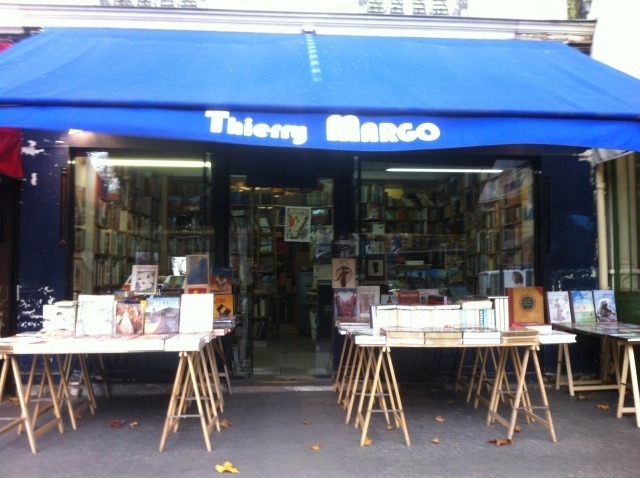 Since I’ve been writing The Matilda Project, I’ve told you about Persephone, Taschen, Herperus, Virago, Slightly Foxed, Pushkin Press, Gallic Books, Capuchin Classics and who knows how many others. 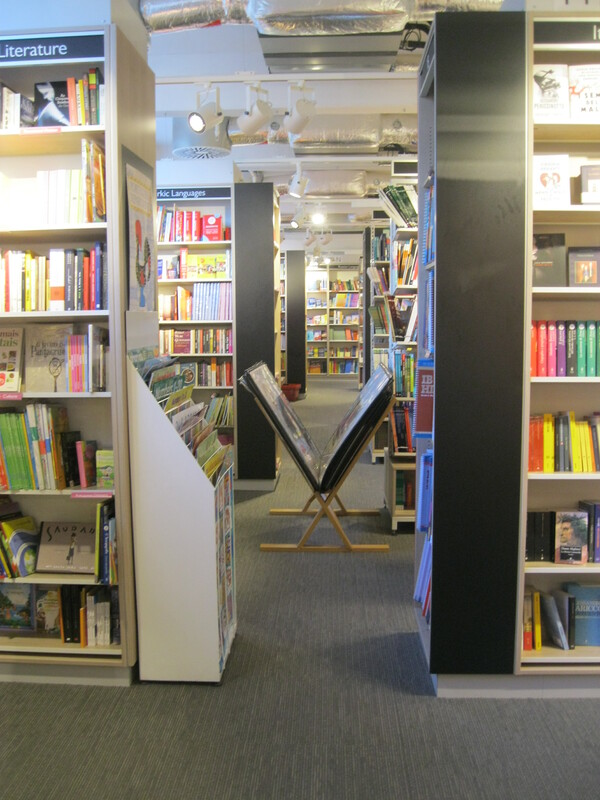 These publishers do vital work, bringing books that might never have seen the light of day into our independent bookshops and, on the heels of success there, into mainstream booksellers where they can reach an even bigger audience. I tip my hat to them all, for bringing the greatest possible books to the greatest possible numbers they can. There are few pursuits in this world that I admire more. So, Gestalten. 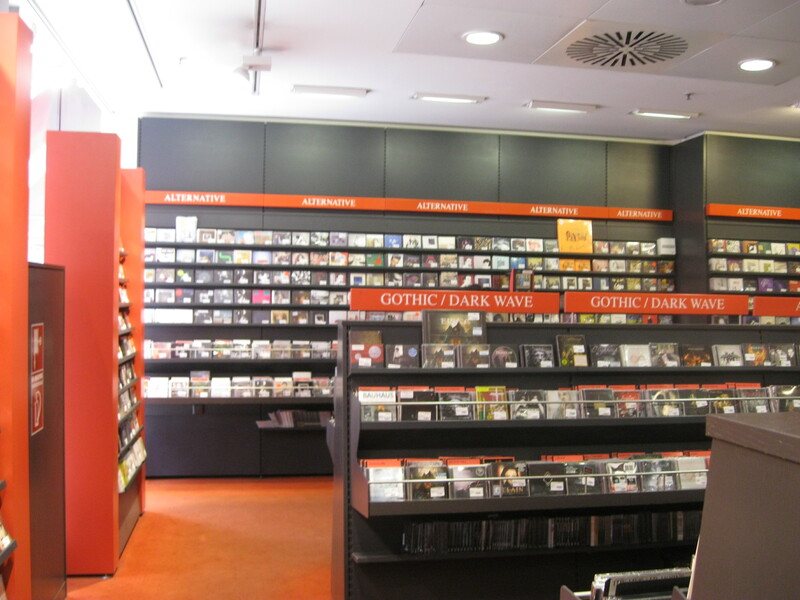 It doesn’t matter if you’re into poetry, art, architecture, digital culture, design, history, cities, fashion, children’s books, love letters to the days of vinyl (which are returning, they say! ), cooking, unusual tourist destinations, bicycles, maps, bejeweled skeleton heads, obscure facts about Lapland, seriously experimental photography or the mysteries of space. If you can think of it, Gestalten has a bizarre, amazing and hilariously specific book about it. 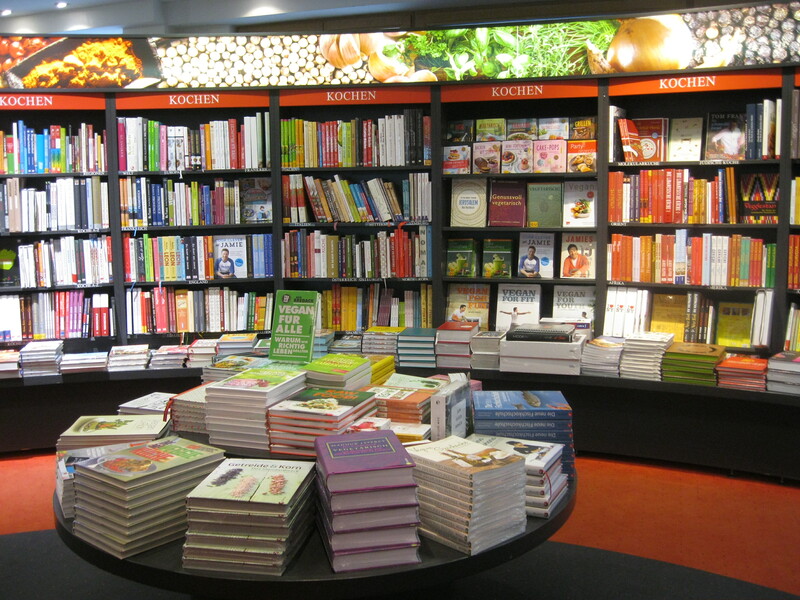 Their brilliant an innovative books can be found in bookshops back in the UK and all over Germany. 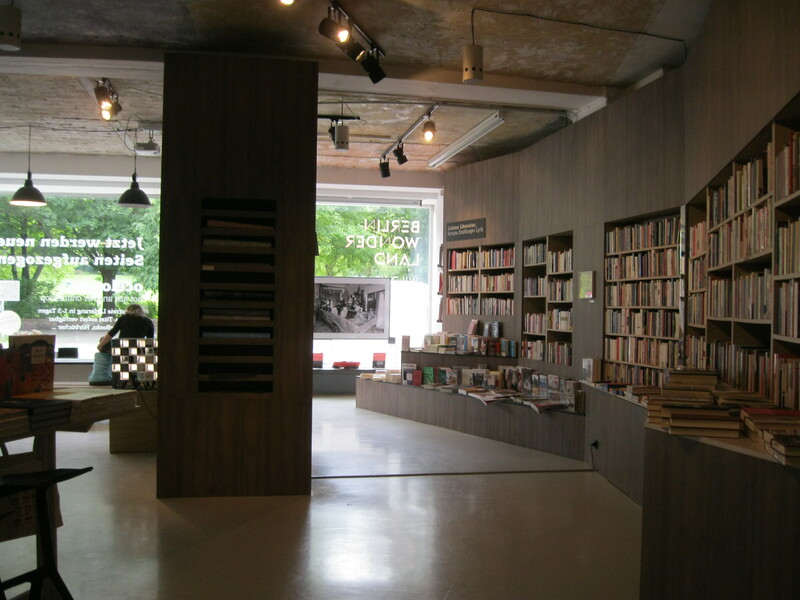 If you’re lucky enough to live in Berlin, you can go to their shop. Definitely, definitely check them out. 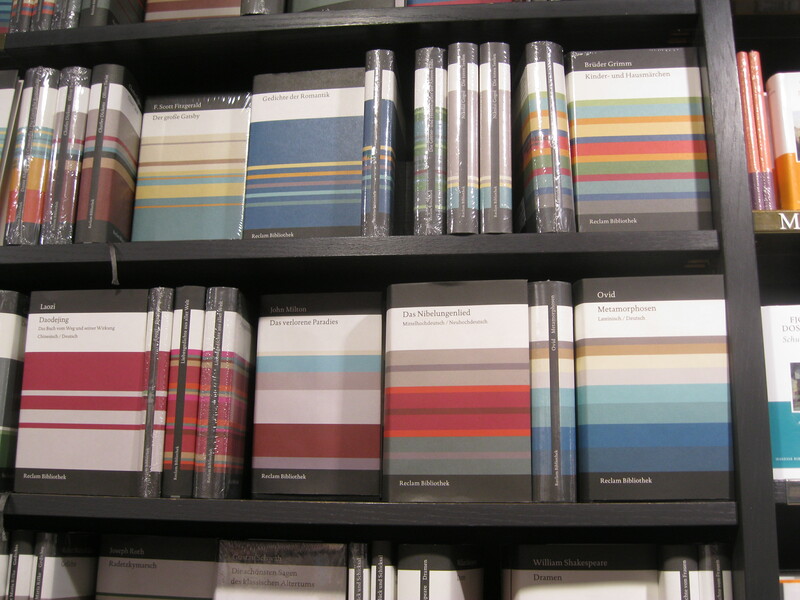 Roaming around the stacks of Gestalten books in Ocelot, I added Little Big Books to my list of books to buy (one day). This is another big and beautiful book filled with illustrations for classic children’s books by contemporary artists. I think it’s a charming idea. 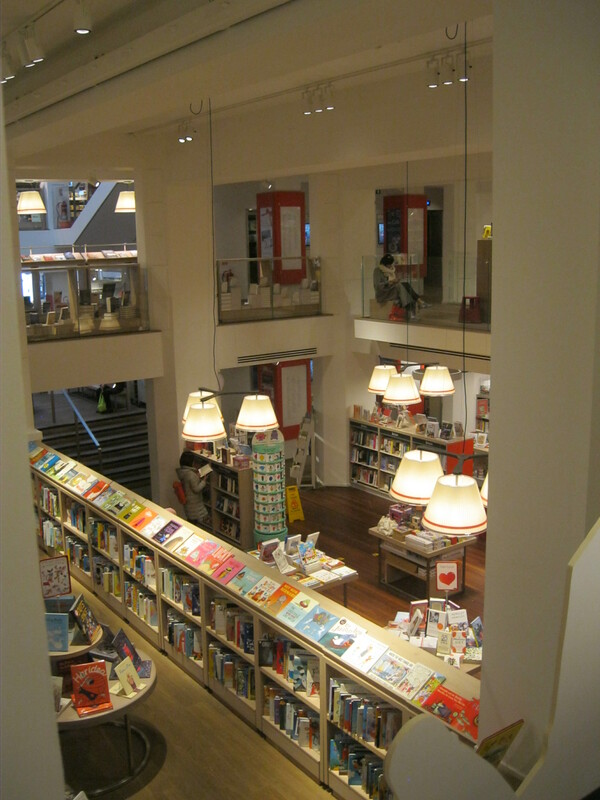 I spent quite a long time here, making my way through every section, from crime to bedtime stories. 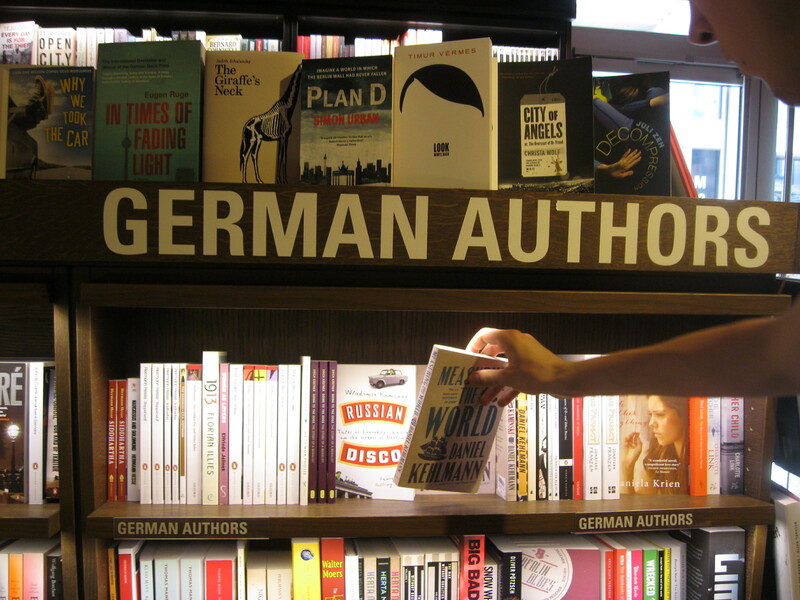 Sadly, my only hope of finding a book I could actually read was to stick to the Literally in English section of the shop, where I, along with all the other uncultured swine who haven’t read Goethe in the original German, could actually follow what was going on. And yet, while it’s always a good bit of geeky fun to compare the international covers of the bestsellers and see what German booksellers think are the English language’s representative books, I really wanted to be sitting on the cozy cushion in the little nook in amongst the children’s books, surrounded by books in a language I don’t speak but which nevertheless seem to want to say something to me. ‘Adventure on!’ they whisper, ‘Come and catch us!’ I’m still young, they remind me, though I’m sure many of my readers would never guess it from my world-weary tone. 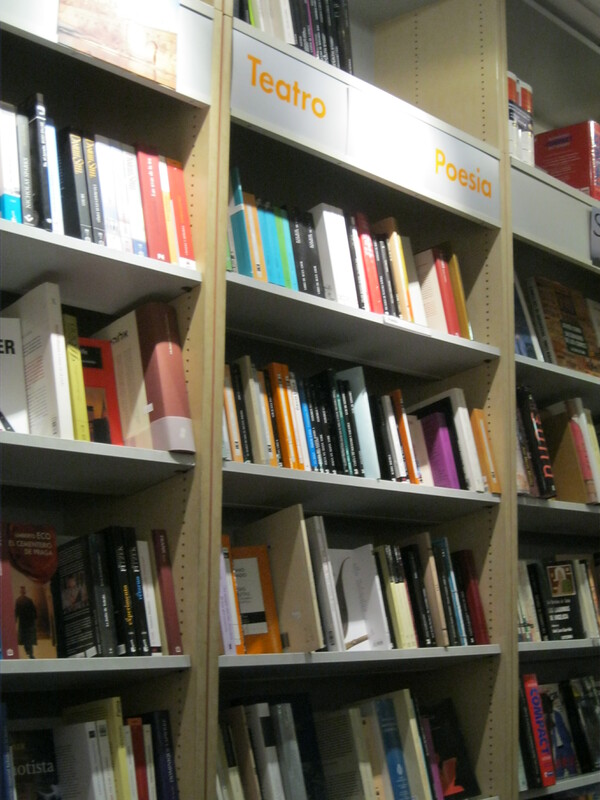 I still have time to learn German, to live in Berlin permanently, to write a novel of my own, to read Proust from start to finish. Places like Ocelot, filled with the exciting mystery of a thousand unread titles, spur me on and remind me to never stop learning. There is always another language to master. 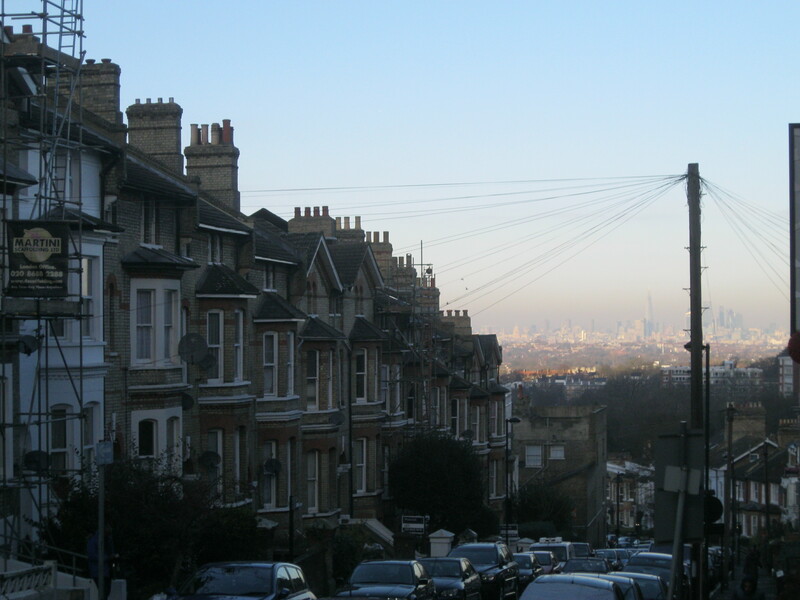 There is always another city whose special little places need to be explored. There is always another book to read. I’m going to turn off my computer right this minute and open one. Let the adventure begin. 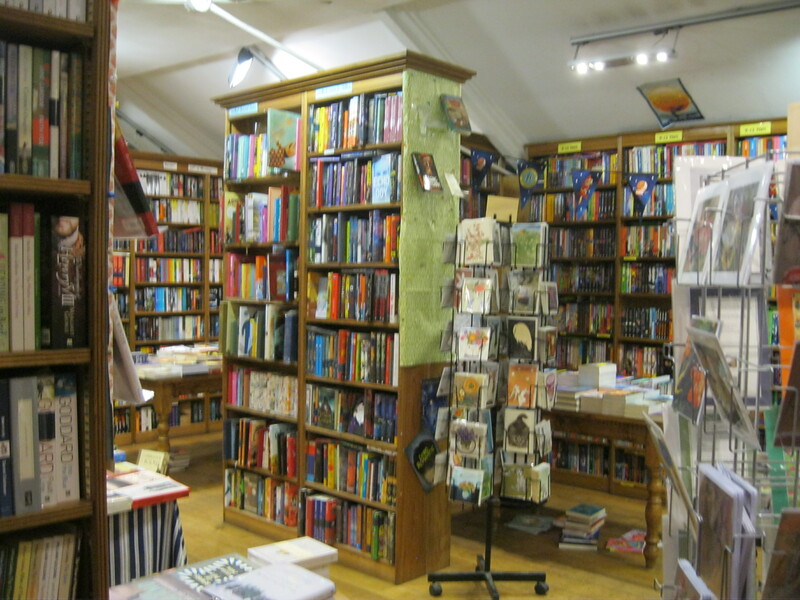 If you live in England and love bookshops, you already know Mr. B’s. 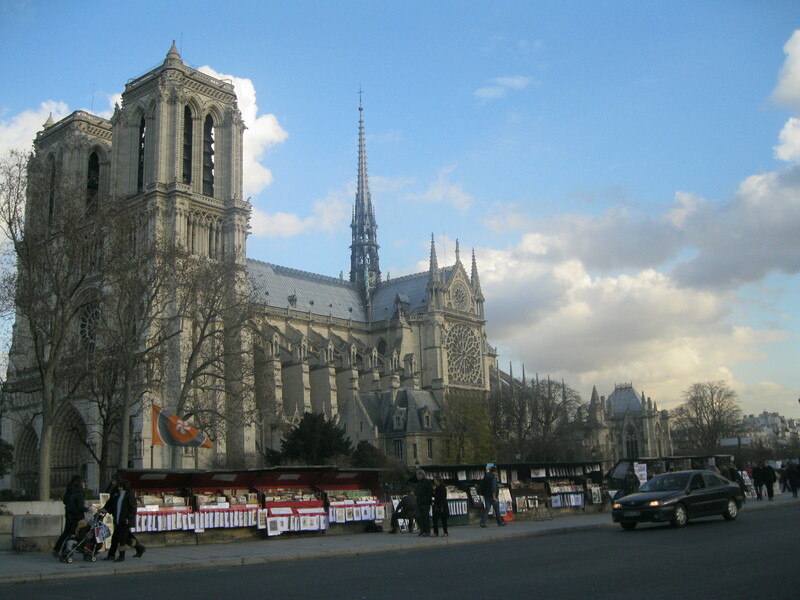 When I started this blog I was asked endless questions about the places I’d been and hadn’t been. 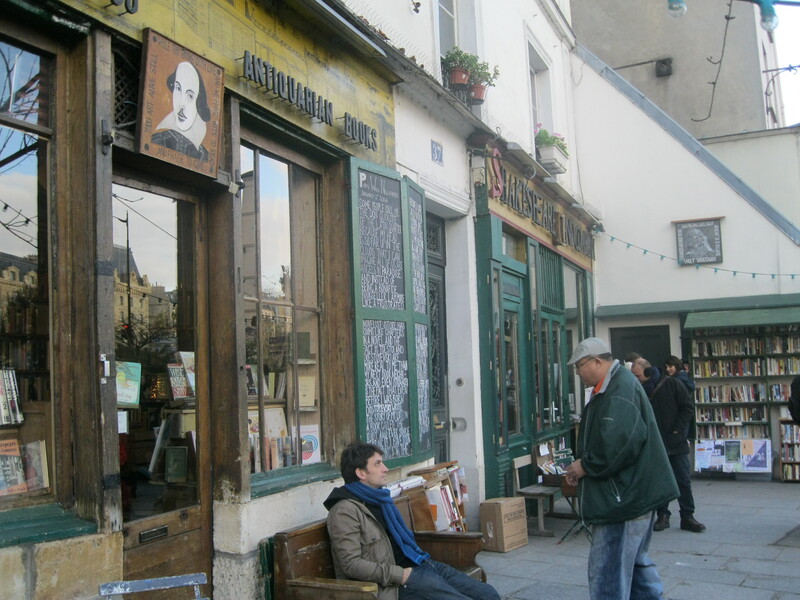 Most often, people wanted to know if the bookshop was still at 84 Charing Cross Road (it’s not, sadly), what I thought of Shakespeare and Company in Paris and whether or not I’d been to Mr. B’s Emporium of Reading Delights. 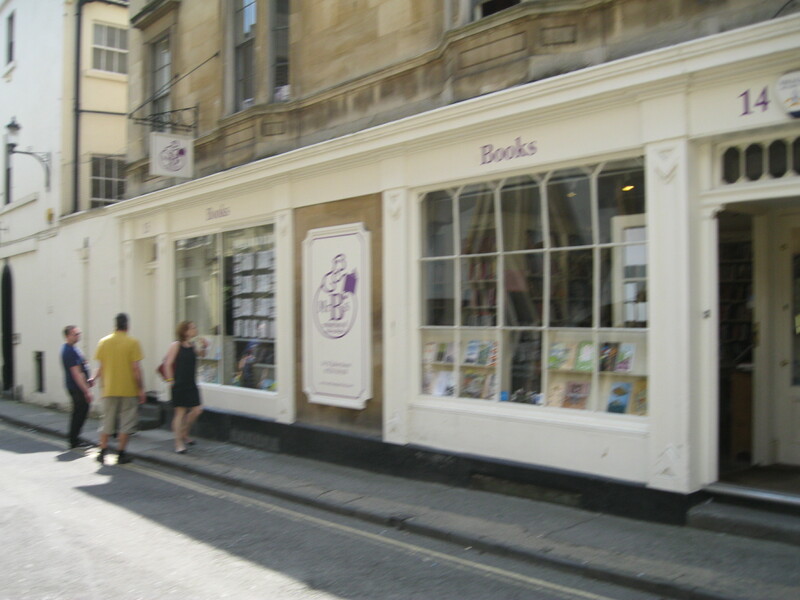 Although Mr. B’s only popped up in Bath in 2006, it has quickly won the hearts of even the most prickly and become a cult favourite with a global following. 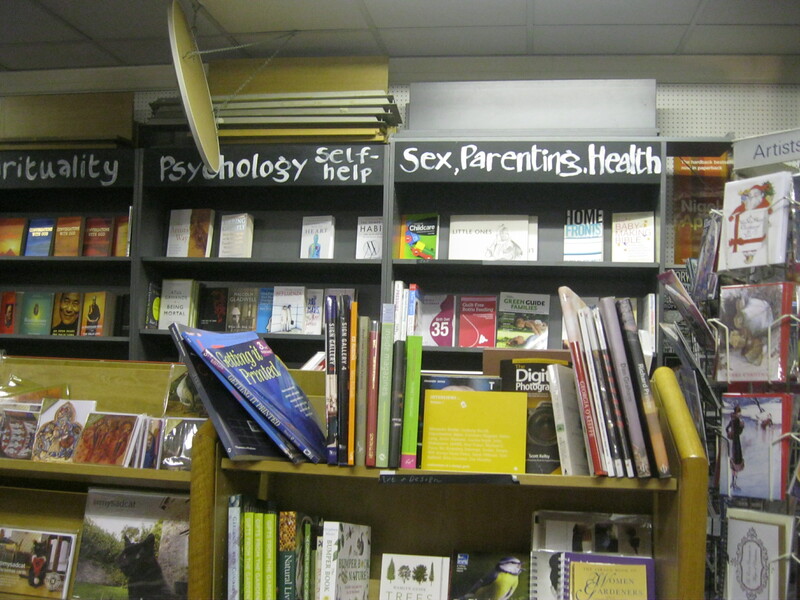 Going to Mr. B’s is something of a right of passage for anyone who considers herself a reader. This is my mate Dom admiring creative magnet poetry. Hi Dom! 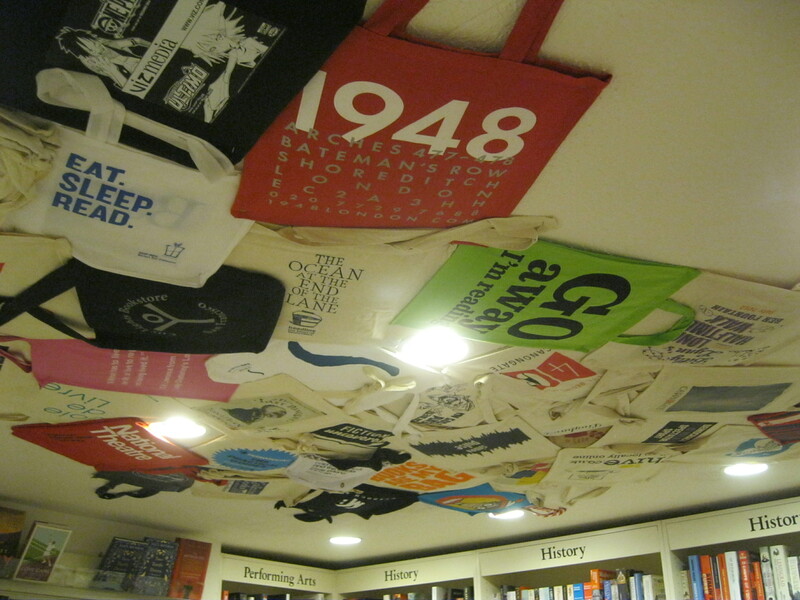 What makes this bookshop so beloved is, I think, partly that it bucks the trend. 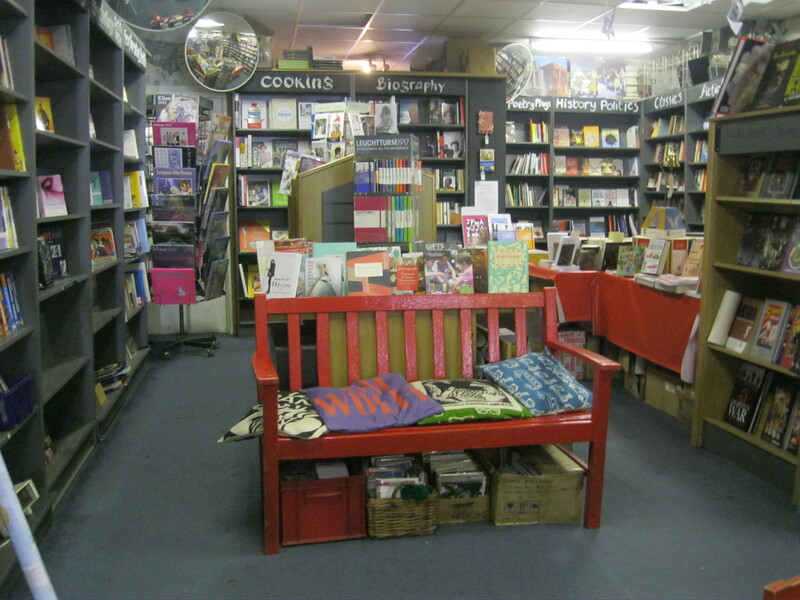 It opened up while we were all worrying about independent bookshops but, through ingenious new methods of bookselling – which never lose sight of the bibliophilia that must always be at the heart of it all – it has excelled, being named Independent Bookshop of the Year on two separate occasions. 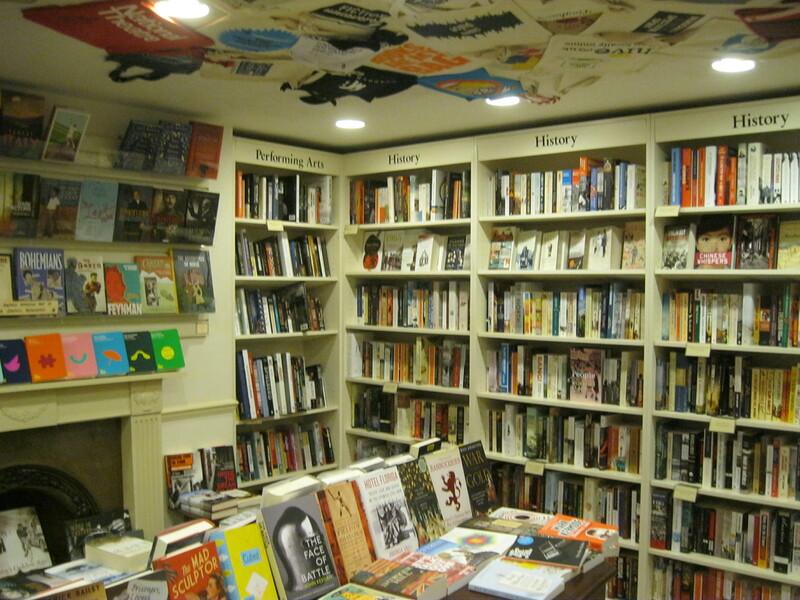 Those of us who love bookshops were delighted to be shown that they can still make it, even ‘these days.’ However, to say that we only love Mr. B’s because it keeps us self-proclaimed Luddites from fretting too much would be to seriously and gravely undermine what it so brilliant about it. 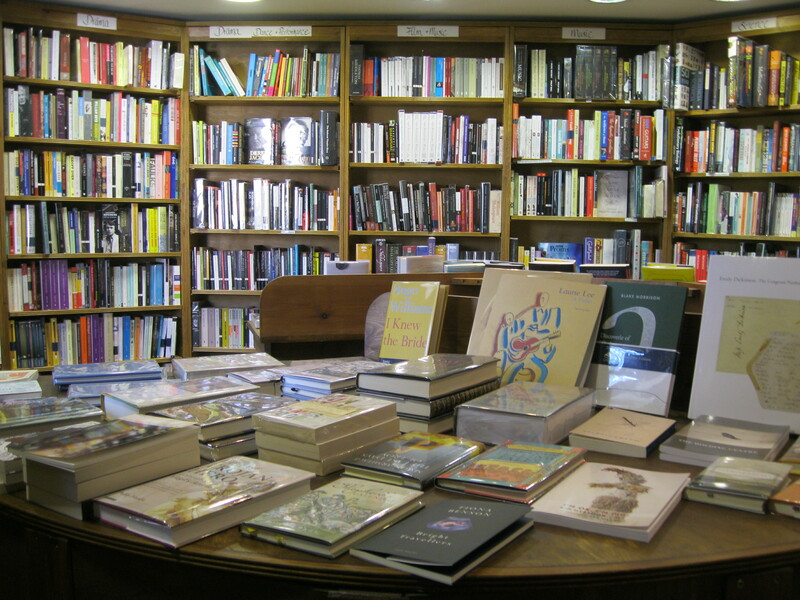 Mr. B’s combines everything that is right and good about an old-fashioned bookshop (the smell of books, the impeccably curated selection, the clean, crisp white shelves, the staff recommendations, the quirky decor and the peaceful, quiet bliss) with a barrage of new ideas sure to woo readers back into its arms and away from the clutches of The Great Brazilian River Which-Must-Not-Be-Named. 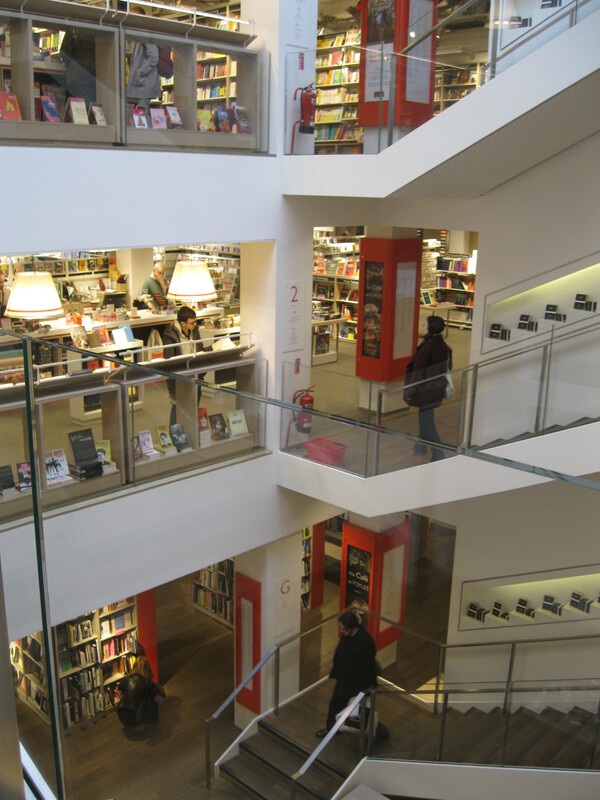 When you walk in, you are met by the Fiction section, where the fun begins. 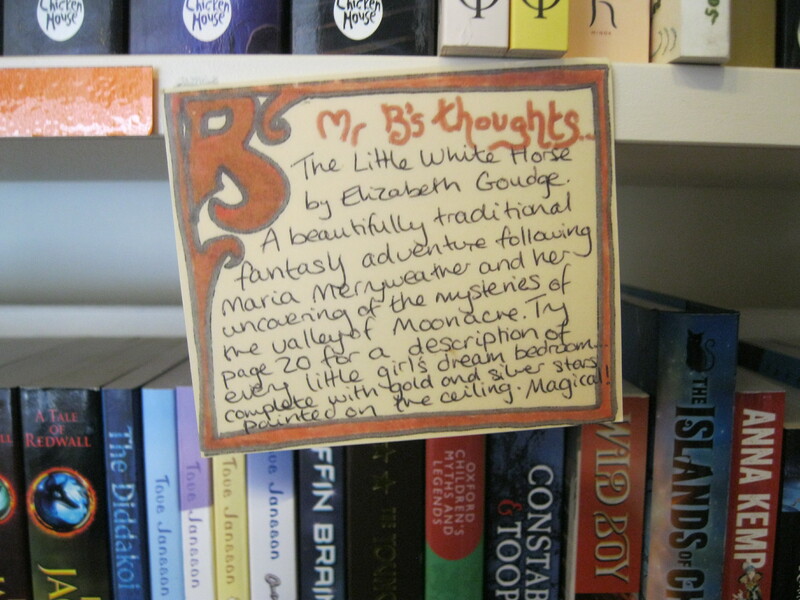 With a board where you can play with magnet poetry and a bathtub full of Young Adult novels, a sense of whimsy that would make a more cynical person scoff delights the naive, romantic bookish types. One of my favourite touches are the little ‘Mr. 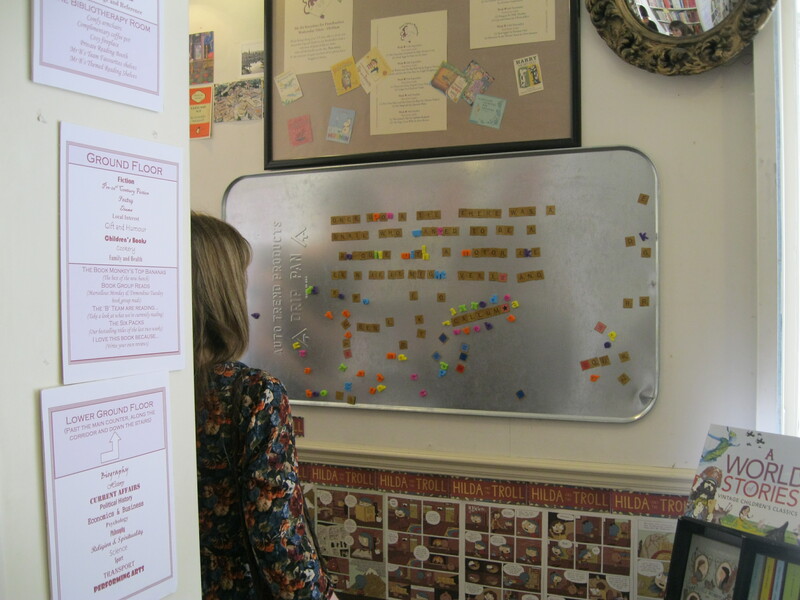 B’s Thoughts…’ cards that dot the section, guiding browsers to a special treat. 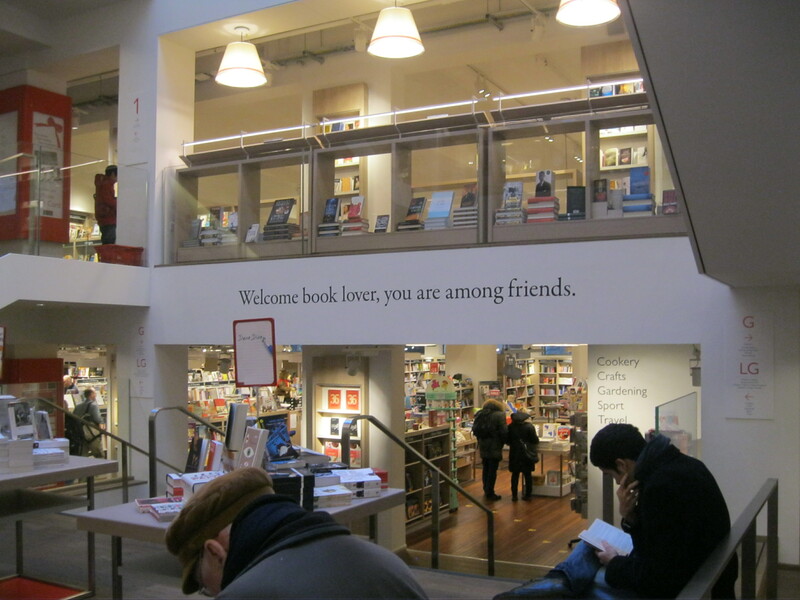 I love bookshops that do this. For avid readers who know what they like and can sometimes get in a bit of a rut making only safe choices, these recommendations give a nudge in a new but always good direction. 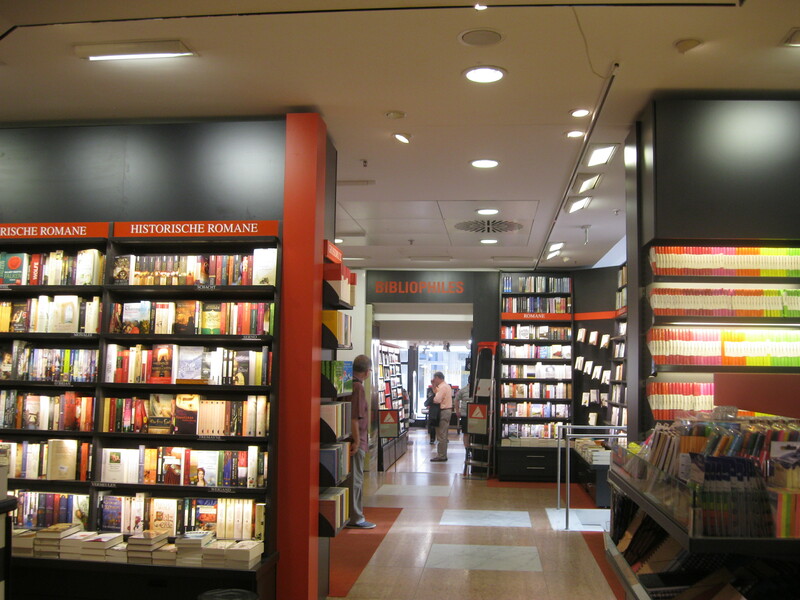 For those less accustomed to browsing the shelves, they make the experience more friendly and less elitist, while ensuring that you find something with a bookseller’s guarantee. 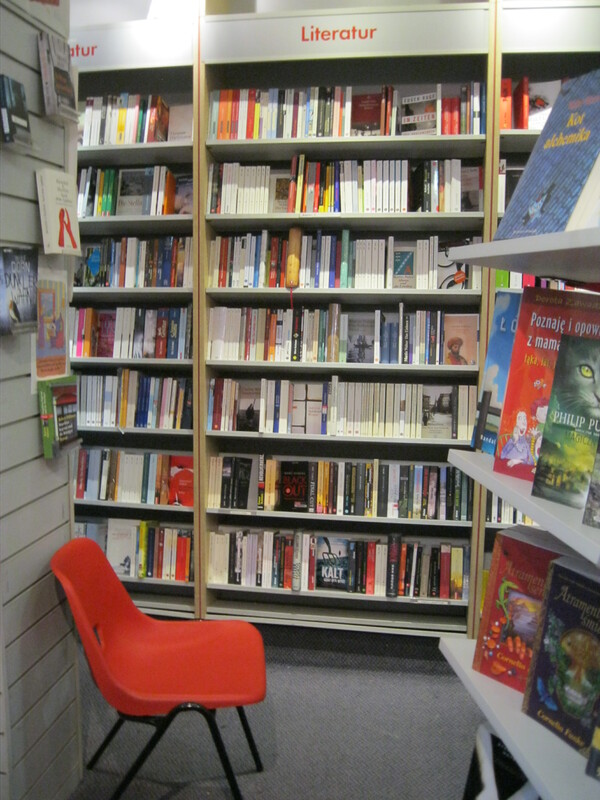 As you follow the excellent selection of contemporary and classic fiction from Z to A, you turn the corner and find children’s and Young Adult books. 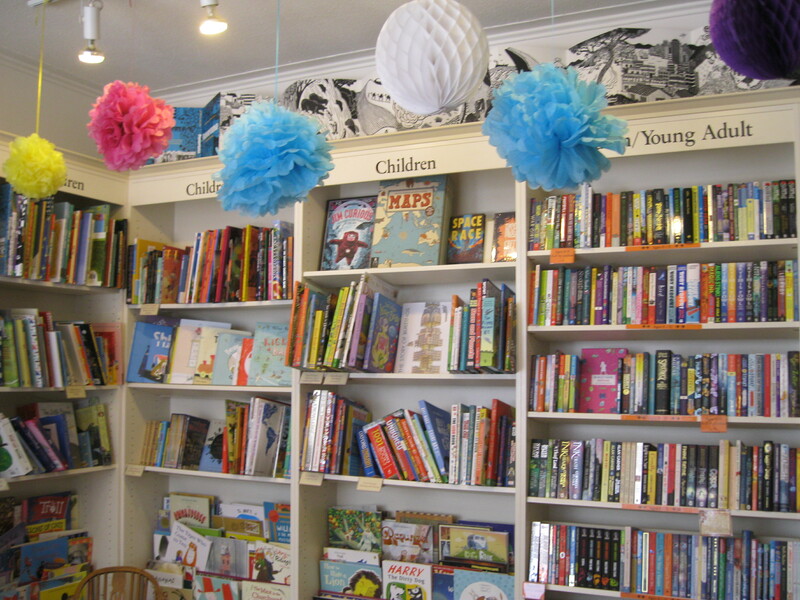 The collection of books gathered at Mr. B’s are the type that will not just grab the attention of a child, but also satisfy even the book-snobbiest parents. They are all fantastic books and there are many really lovely editions of children’s classics to be found in amongst the picture books and longer chapter books. 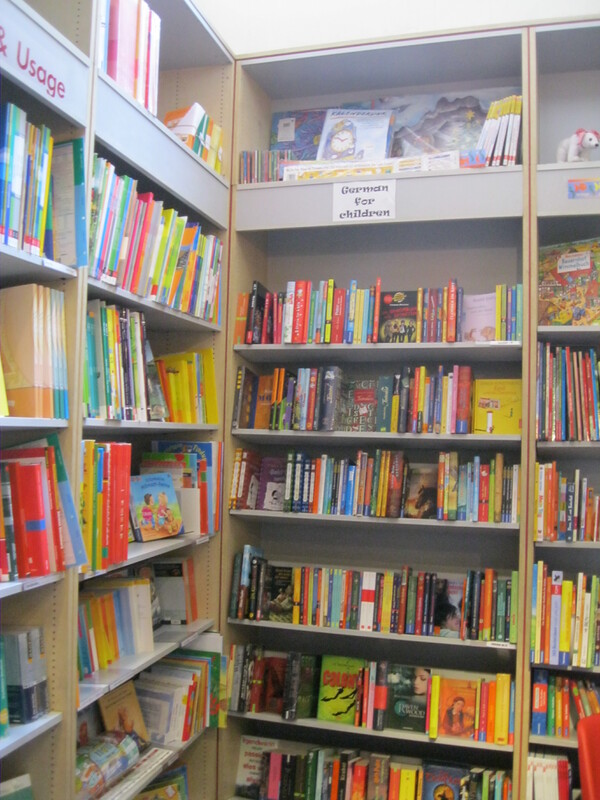 While there are books for every age group and every type of child, there are, I am pleased to report, none of those silly, flimsy little paperback series that are always aimed at one gender only. You know the ones I mean – the forty part ‘Cupcake Fairies’ series that keep little girls entertained for about a day until they need the next one. Surely it’s much better to eschew Waterstone’s and head for Mr. B’s to buy something a bit more substantial? 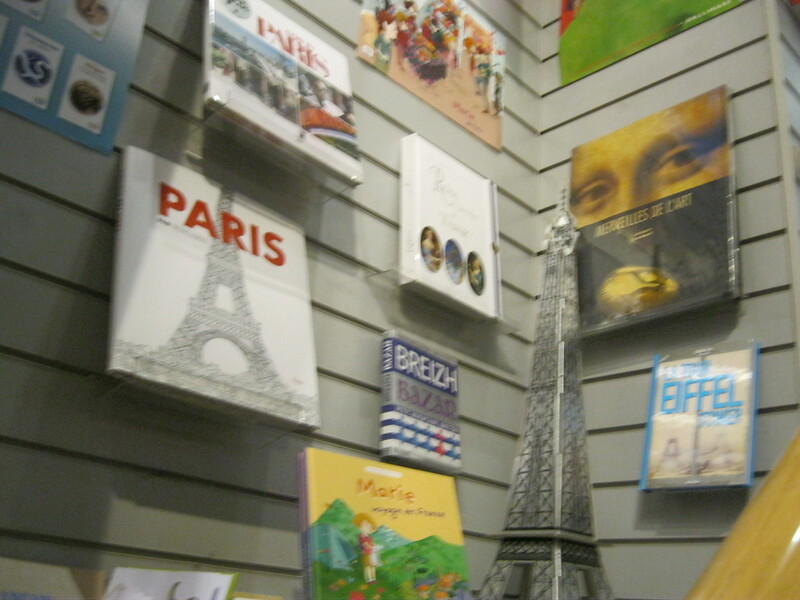 Whether you’re looking for a book for a little one learning to read, a quiet, bookish little boy, a brave, excitable teenage girl or an adult who wants to feel like a kid again, there will be an adventure for anyone on Mr. B’s walls. 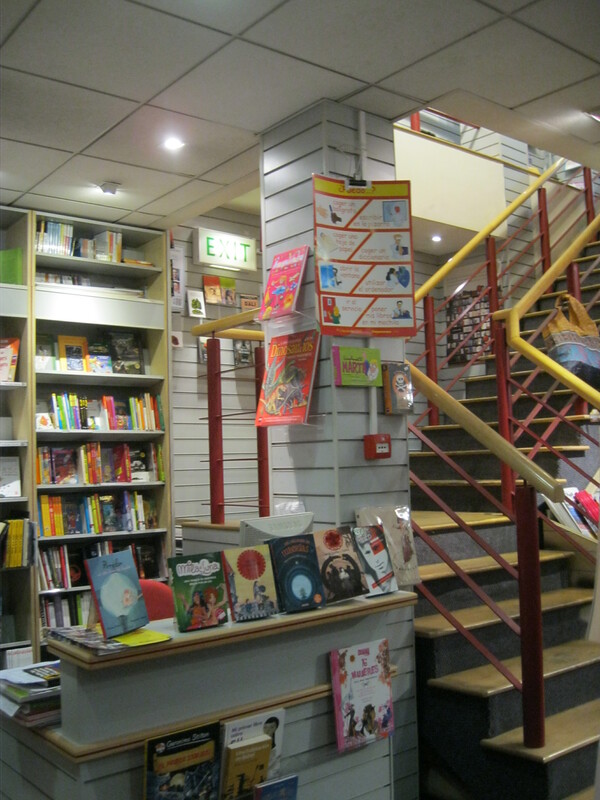 Past the till, passing poetry, drama, cookery, books ab out Bath and even a small music section, is the staircase leading down to More Reading Delights. 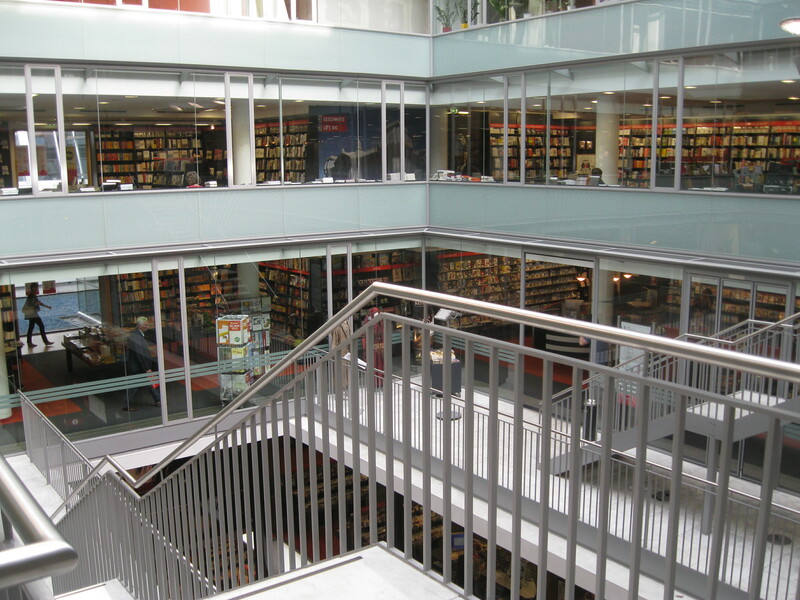 In the basement are the typical basement subjects: Biography, History, Current Affairs, Politics, Economics, Business, Philosophy, Psychology, Religion and Science. I fear that some people miss this basement. Don’t. 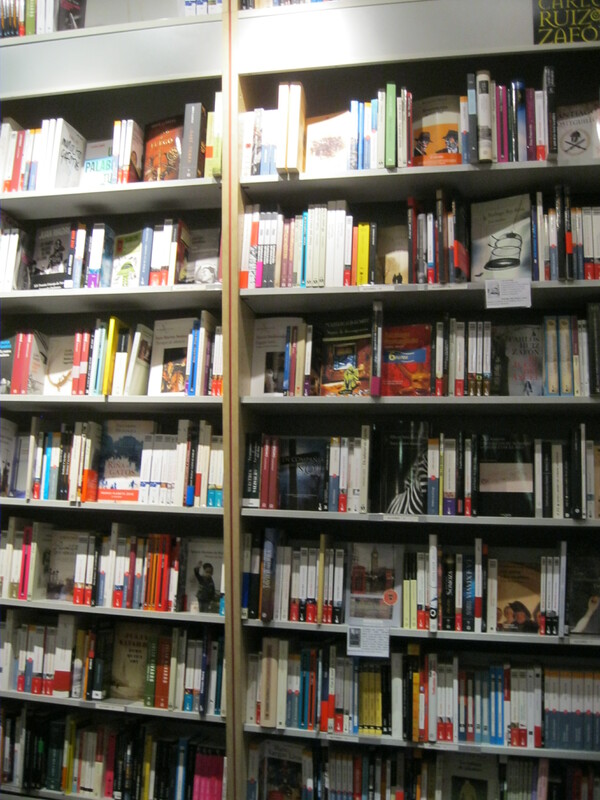 The selection, as elsewhere in the shop, is inspiring. 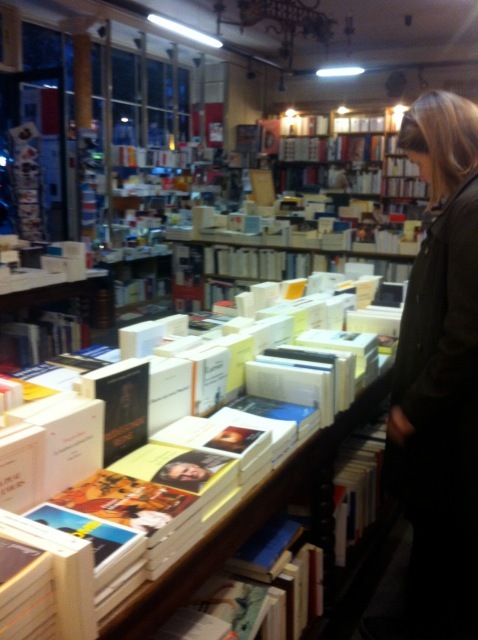 The booksellers at Mr. B’s have saved us the trouble of wading through the confusing world of publishing. 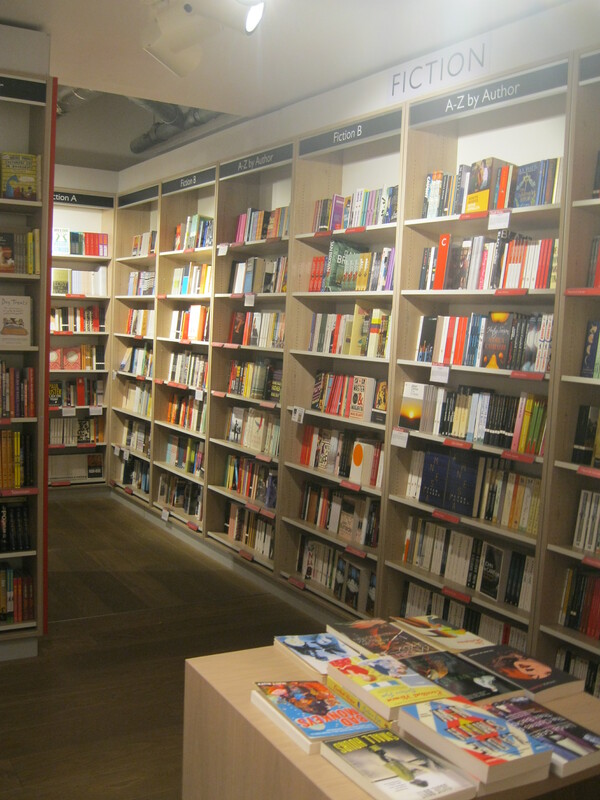 They have picked out only the most intelligent, relevant and beautiful books available so that book hunters really can’t go wrong. Despite knowing next to nothing about the enigmatic Mr. B, I know that I trust him without a doubt. 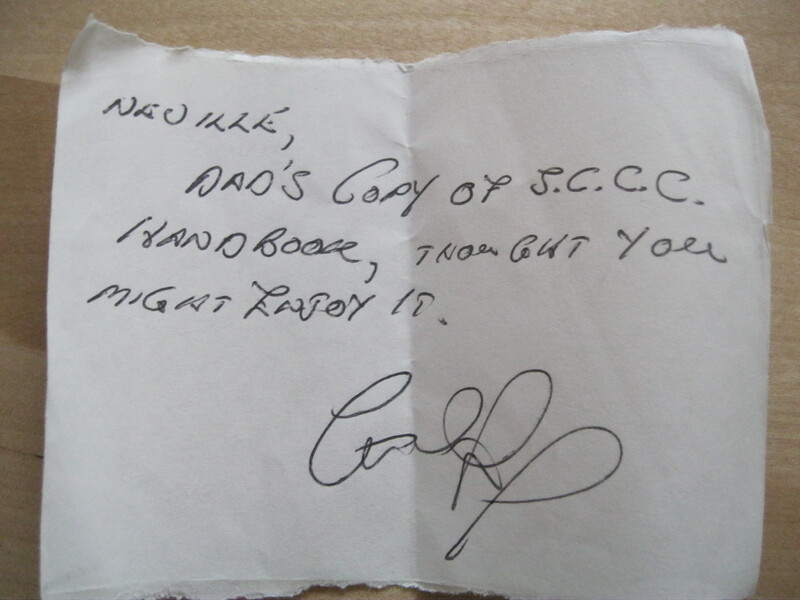 If a book is here, it’s because someone who knows what (s)he’s talking about has vouched for it. 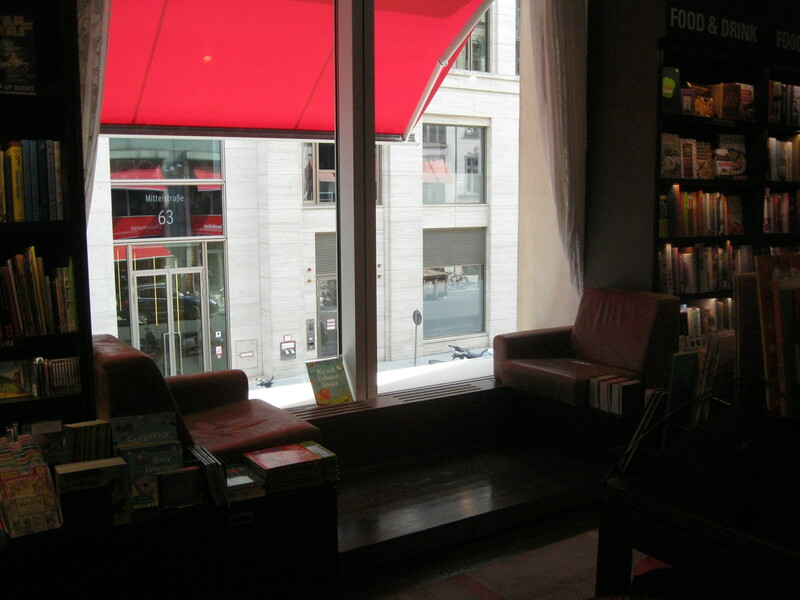 The basement is only a small room but books cover all the walls, the table in the middle and even the fireplace. 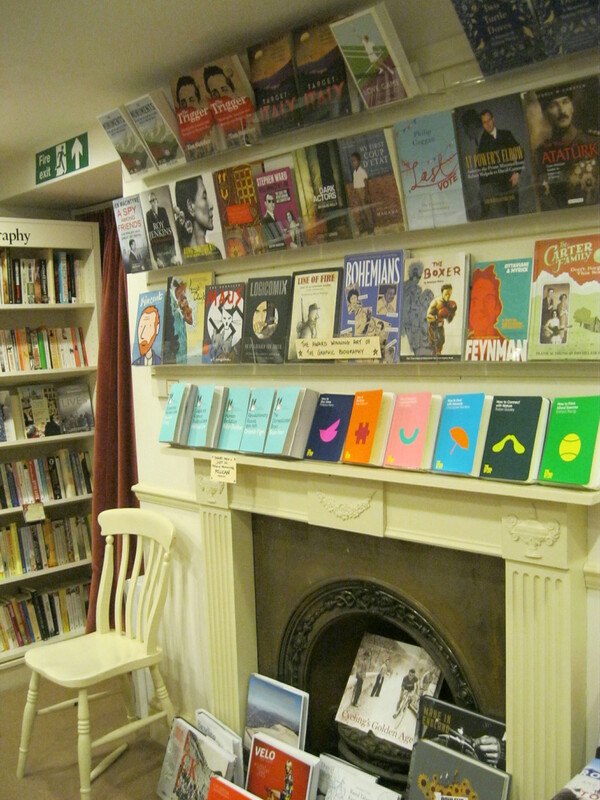 Down here there is also a modest selection of graphic novels, arranged on the shelves in and around said fireplace. 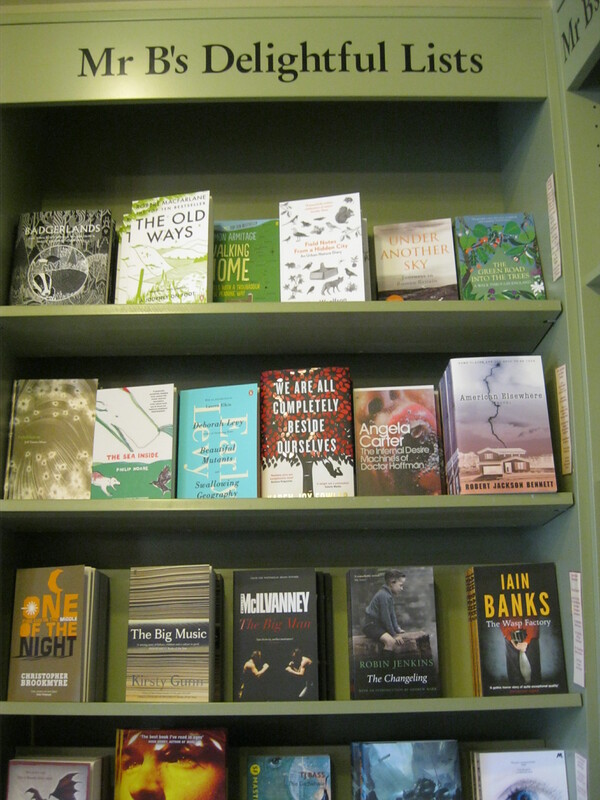 These, like the fiction books, are a mix of the classic stand-bys of the genre and the newest and freshest books. 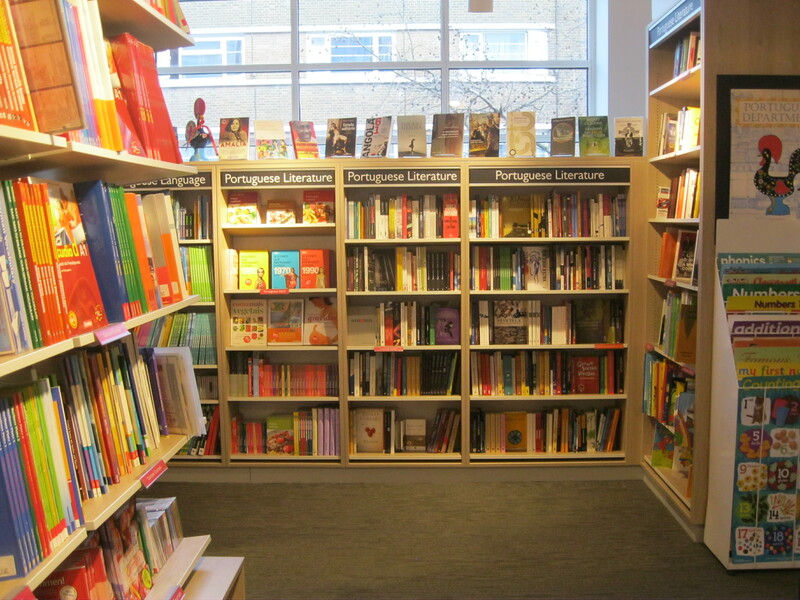 If there is something good going on in publishing, you can trust Mr B’s to be all over it. 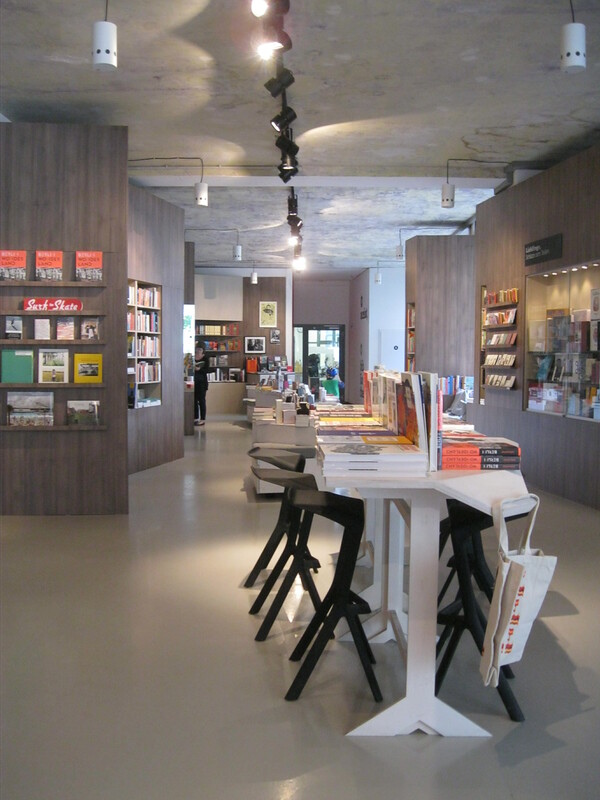 Upstairs, you’ll find books on art and architecture, travel (the ‘Travels with my Book’ section), crafts and design as well as an even larger selection of graphic novels. 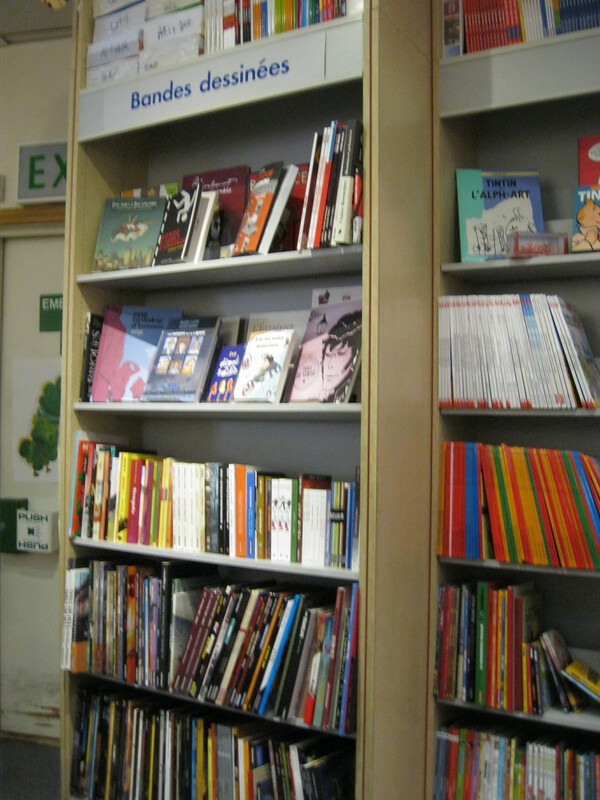 It is also the space for featured books, sporting colourful and exciting bays labelled ‘Mr B’s Delightful Lists’ and ‘Our Favourites/Your Favourites.’ You have to marvel at the booksellers’ never-ending capacity to pick out a great next read for you. Recommending books new and old, which you’ve always meant to read or never heard of, the good men and women of Mr B’s Emporium provide their most earnest recommendations, all in the interests of ensuring that as many people as possible benefit from as many good books as can possibly be fit into what is not actually that large a bookshop. 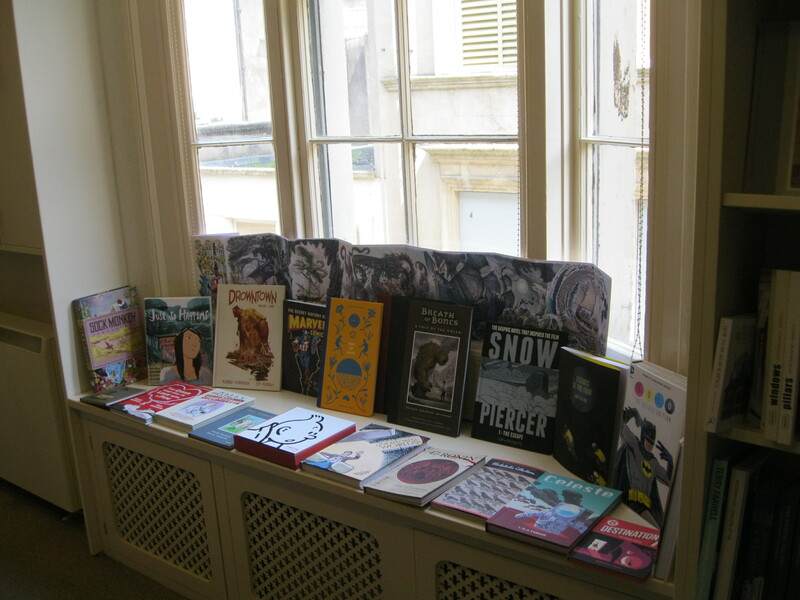 They also feature books related to or following on from their many events. 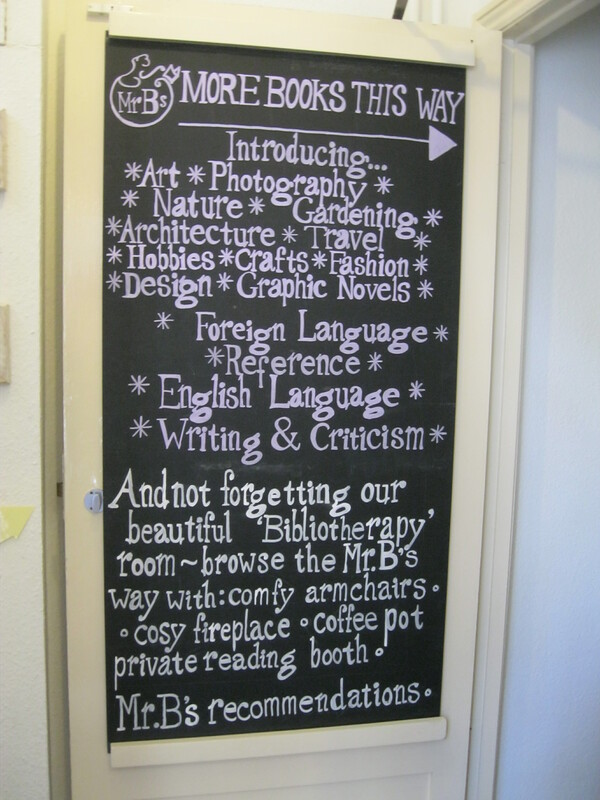 Mr B’s draws some of Britain’s biggest authors through its doors for readings, signings and debates and you can buy the books they’ve discussed in the shop. 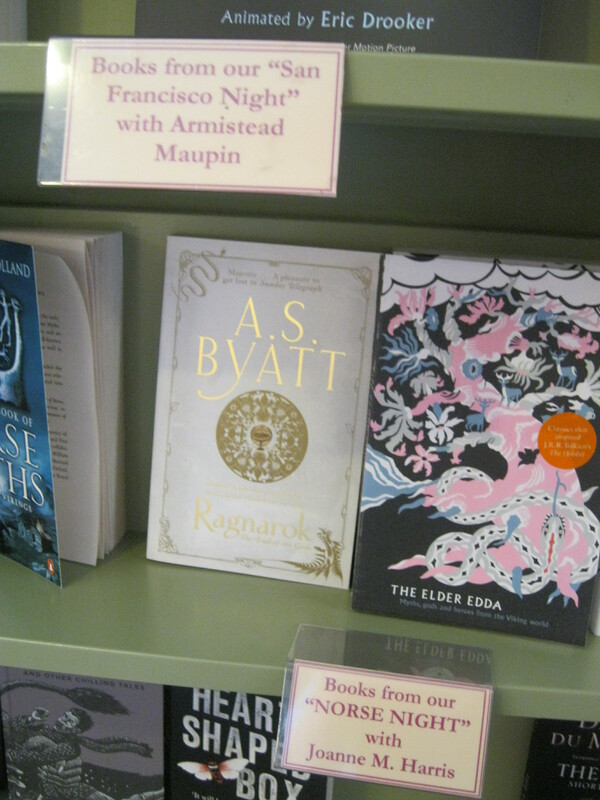 But be warned – being taunted about Our Norse Night by a shelf full of interesting books can be quite frustrating if you’ve missed it. And finally, the crème de la crème, Mr B’s Emporium’s crowning jewel and the reason for much of its fame. 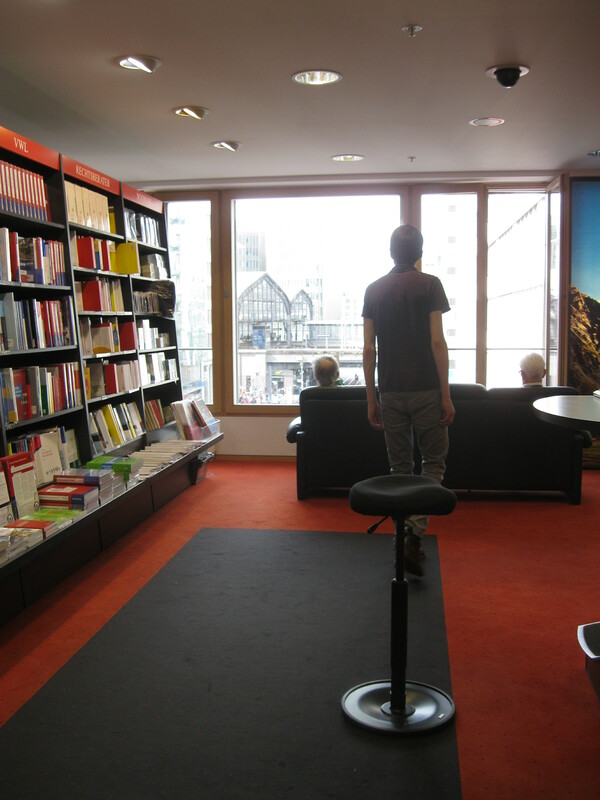 After wandering through the rest of the shop you finally come to The Bibliotherapy Room. 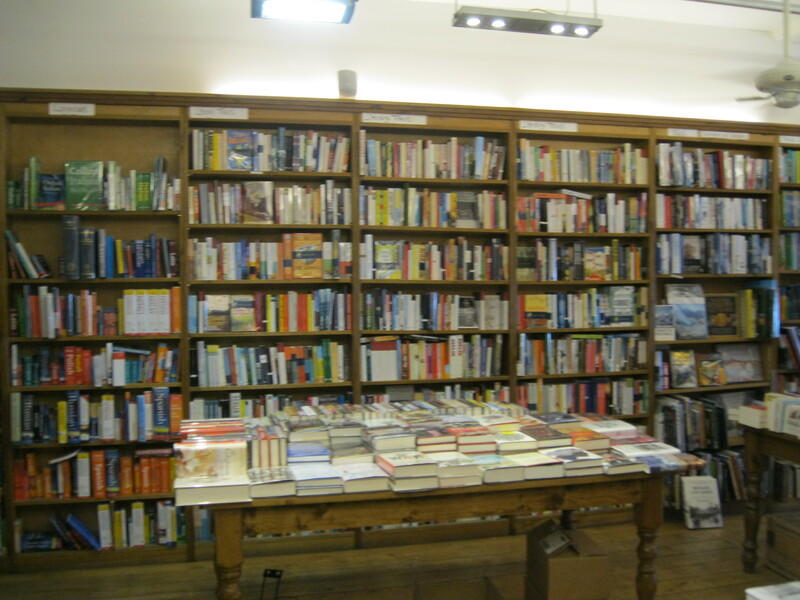 This room is covered in books and very much part of the regular bookshop for regular customers. But so much more can happen here. 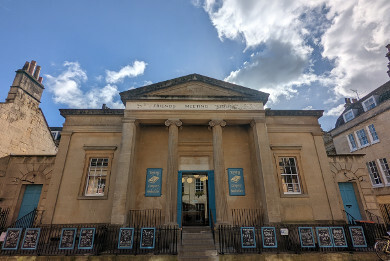 Seeing as we are in Bath, after all,Mr B’s has styled itself as a spa retreat for the mind rather than the body and offers a variety of luxurious treatments for book-lovers. Please do try not to drool over your keyboard as I describe them. 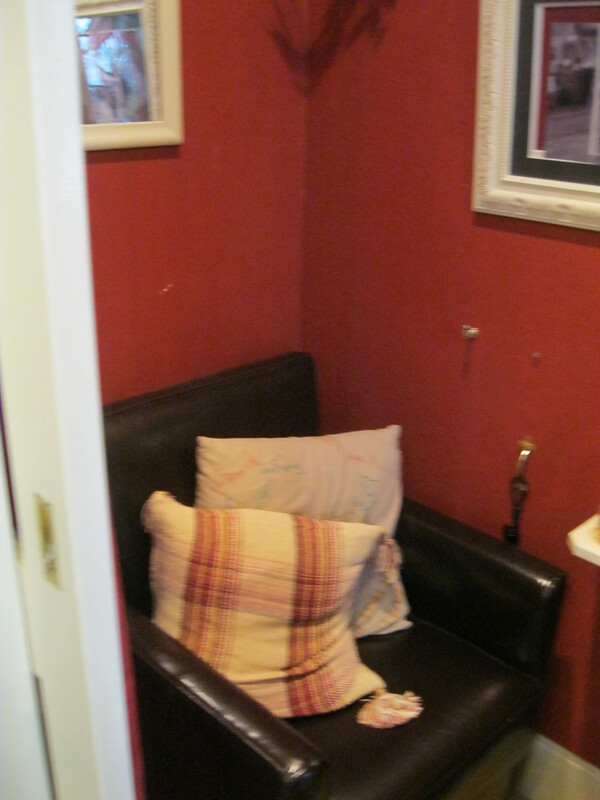 First comes Mr B’s Sumptuous Reading Booth, a tiny little nook with a lockable door where you can sit and read in peace. 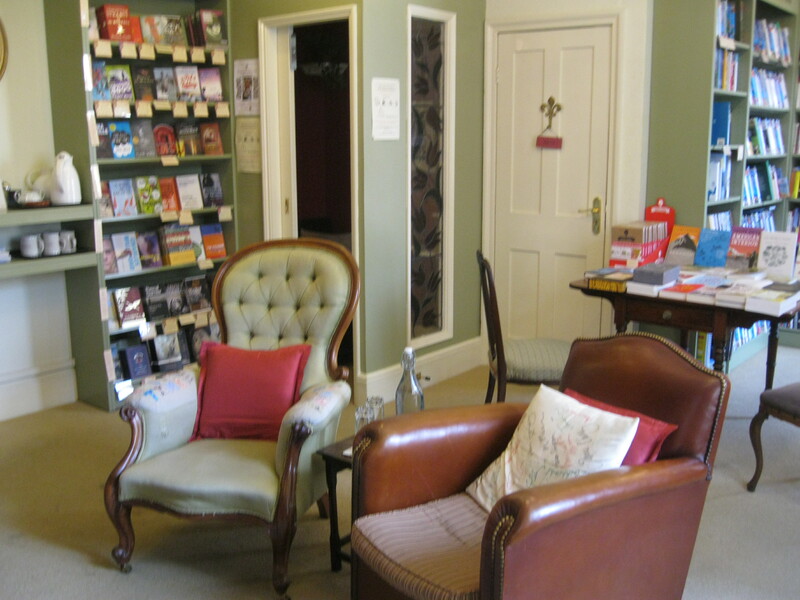 For £3.50 you get 30 minutes in a locked room to sit in a comfortable chair with music, tea, biscuits and a book. Plus a Do Not Disturb sign on the door. It’s really the perfect birthday present if you know a misanthropic bibliophile like m e who considers a day alone in the silence with a book the best gift you could ever be given. I covet my lunch hour at work, my alone time when I get to go sit in the park or in a cafe and read. I like my co-workers but they just don’t seem to get that I need some time with my book. For anyone who has this same problem, £3.50 is quite a bargain for some time snuggling up in a comfortable chair without any distractions, being able to read quietly and alone without anyone thinking you’re anti-social. Which, to be fair, you probably are, but what’s so wrong with that? 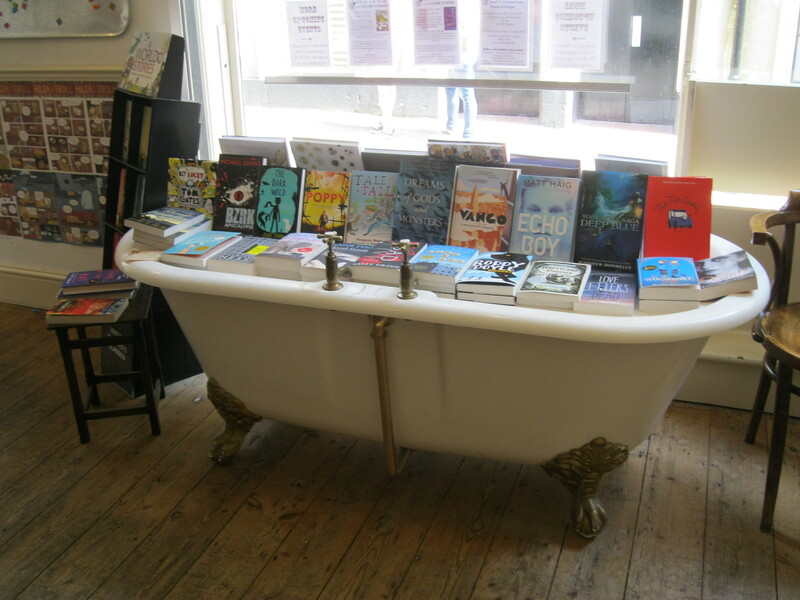 Finally, if you fancy spending a little more money on your literary R&R, you can buy yourself or a loved one (obviously you’re going to buy it for yourself though) a Reading Spa. 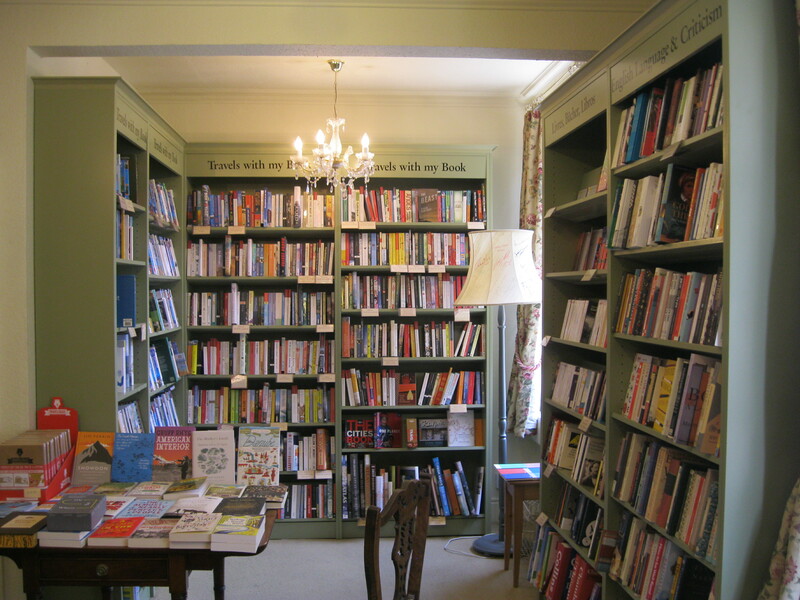 It costs £55 for the basic package and you get an hour alone with a bookseller who creates a bespoke stack of book recommendations just for you, time to sit and read with tea and cake and a £40 voucher to spend on the books you pick out. 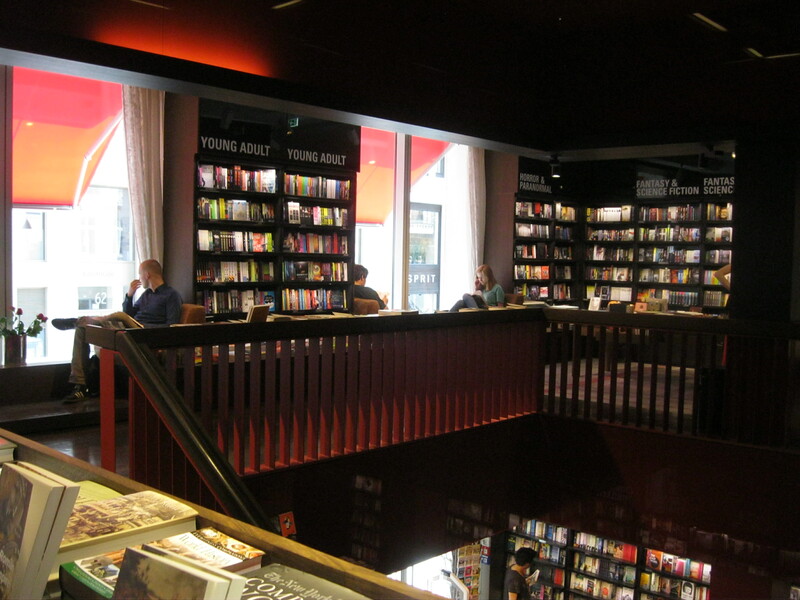 The Reading Spa, in addition to being The Best Idea Ever, is also a reminder to sad, apathetic little people who love the Brazilian River Which-Must-Not-be-Named of everything that you miss when you give up on independent bookshops. But the great thing about Mr B’s is that you can be extravagant if you want to, but you don’t have to in order to enjoy it. 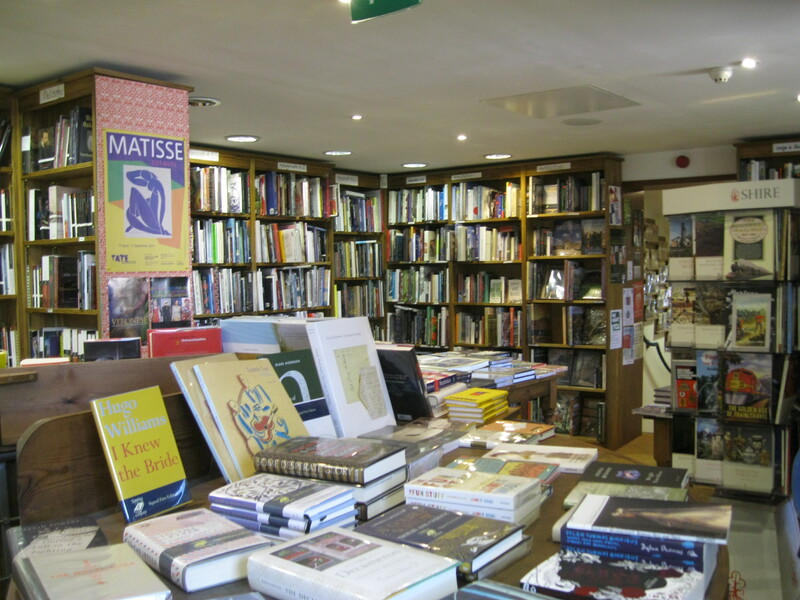 Even just strolling through, you’ll still get the incredible service, curated choices of excellent books and the relaxing, welcoming atmosphere that independent bookshops do best. I spent money at Mr B’s a nd was happy to do it because I was not only paying for two new books that I know I will enjoy, but also for an hour of entertainment and enlightenment and, which is truly priceless, lots and lots of inspiration. I bought two books. 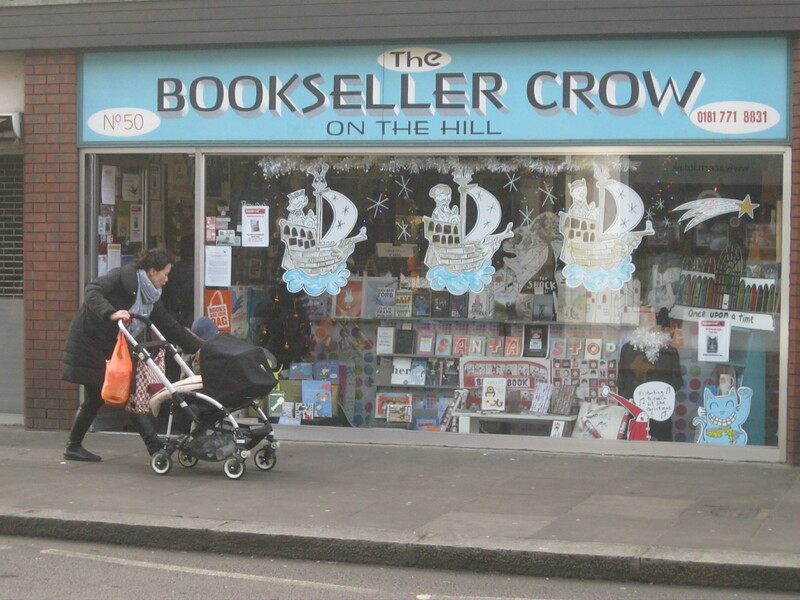 The first was The Haunted Bookshop by Christopher Morley, which made me think of the bookshop in Cambridge that I love and was recommended after a Ghost Stories evening at Mr B’s. The second was A God in Every Stone, Kamila Shamsie’s new novel. I had seen this in a Blackwell’s in Bristol a couple of weeks before and fought the urge to buy it. 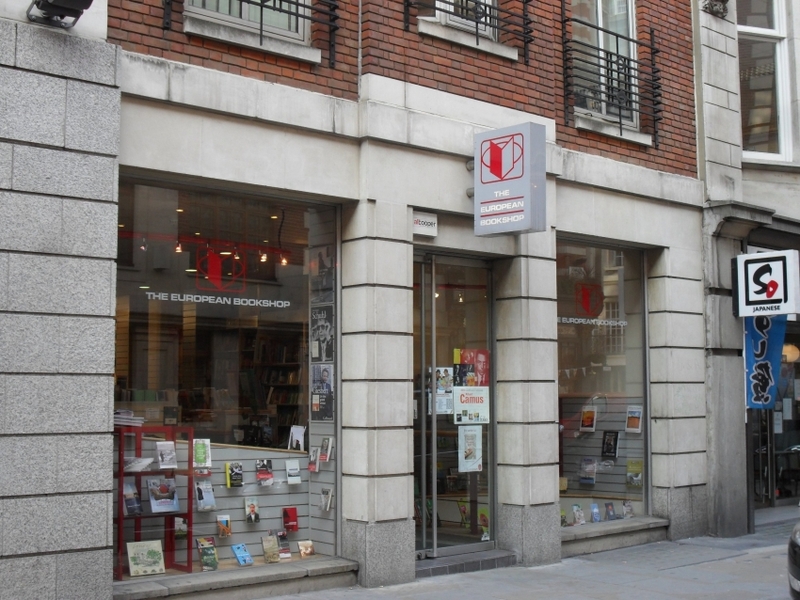 When I got back to London I hunted around the London Review Bookshop and the Islington Waterstone’s after I realised that I couldn’t live without it. When I couldn’t find it anywhere I thought maybe I’d made it up – that I’d read the title or the author’s name wrong and was searching for a book that didn’t exist. I didn’t go to Amazon to immediately gratify my desire. I waited. And it popped up again in Mr B’s Emporium of Reading Delights where finding it again really did delight me. I have since devoured both books and, unsurprisingly, both were excellent. However, I took away a lot more from my short visit to Mr B’s. I took away a list of other books that I want to buy, including books I don’t have yet by authors I already love and other books I’d never heard of. 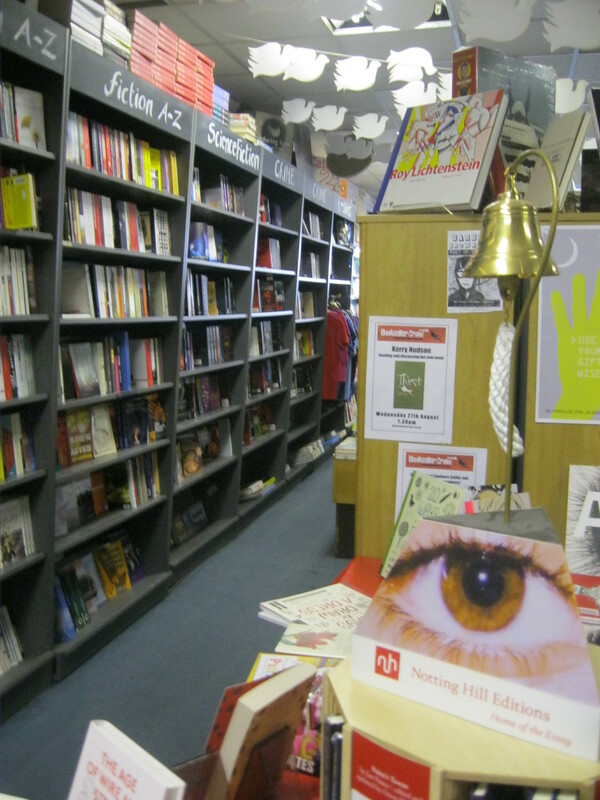 A trip to Mr B’s is delightful because, like any other good bookshop, it doesn’t end when you walk out the door. The ideas, the yearnings, the questions it brings up stay with you long after. They will influence what you read next. They will form your opinions on a whole range of topics. 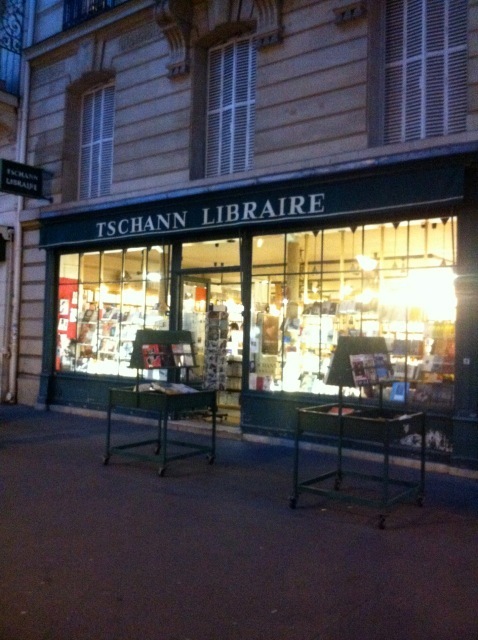 They will wake you up in the middle of the night and drive you crazy when you can’t remember that name of that book! They will make you want to come back and back and back again for more. 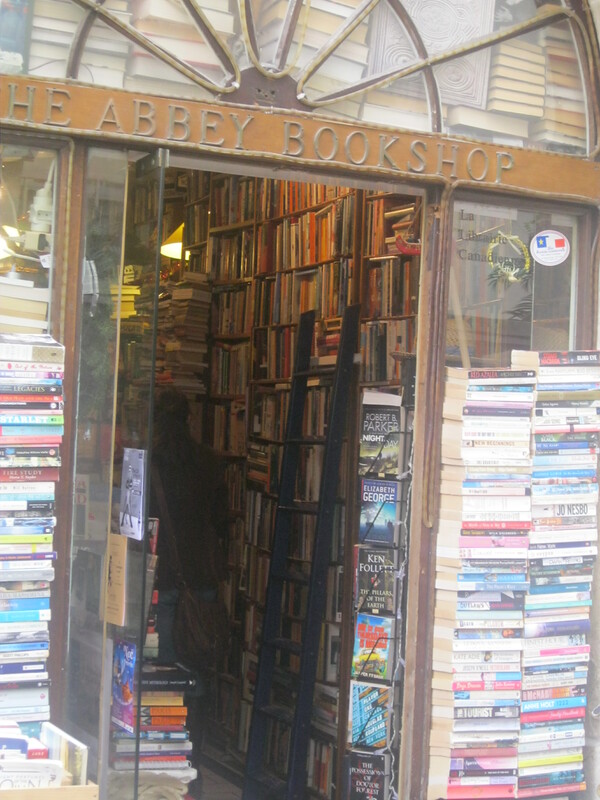 A bookshop like Mr B’s can begin an addiction which will stay with you for the rest of your life. It can begin a love affair with reading that will never end. 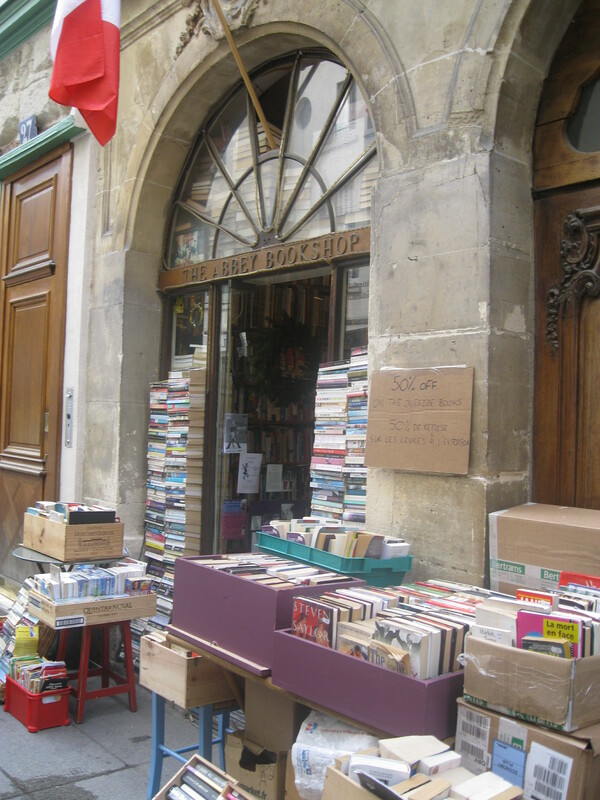 It can reignite a passion for books in the hearts of people who long ago opted for convenience over adventure. 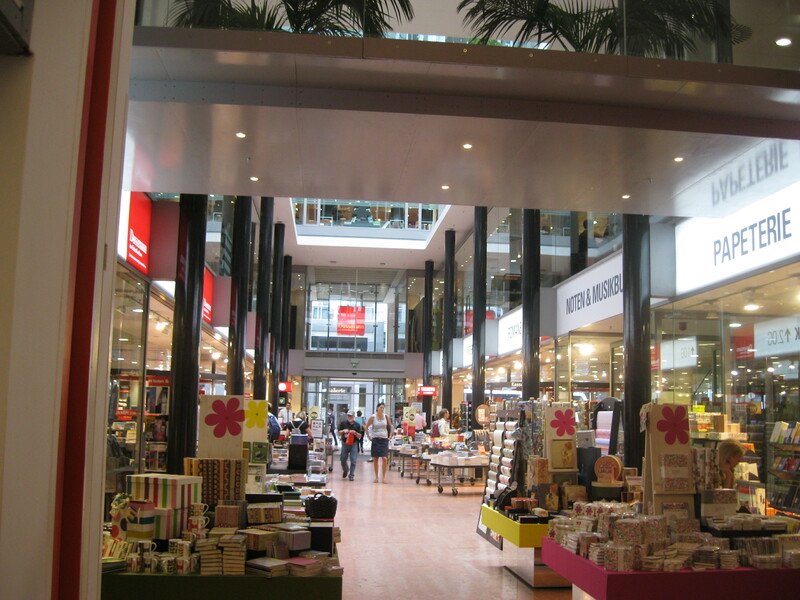 Simply put, like a day at the spa, a trip to Mr B’s Emporium just makes things better. 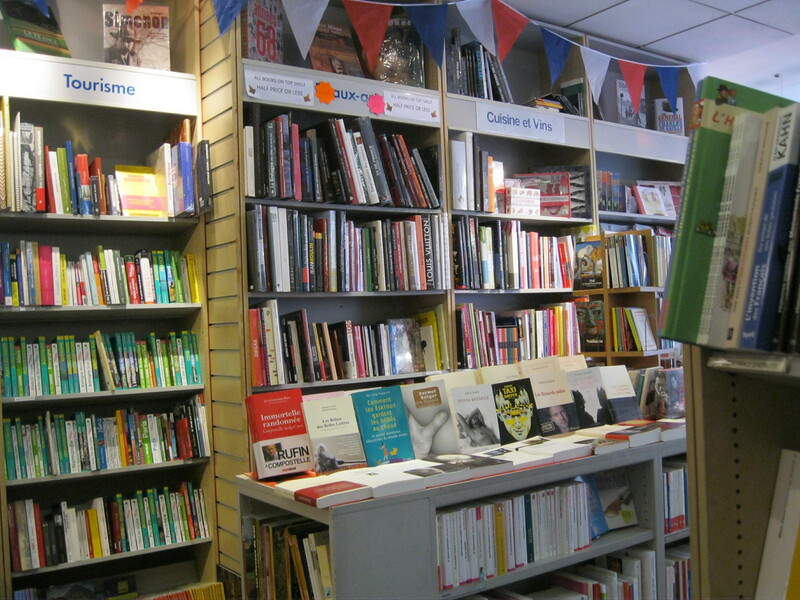 I hope you have all had a lovely Independent Booksellers’ Week. 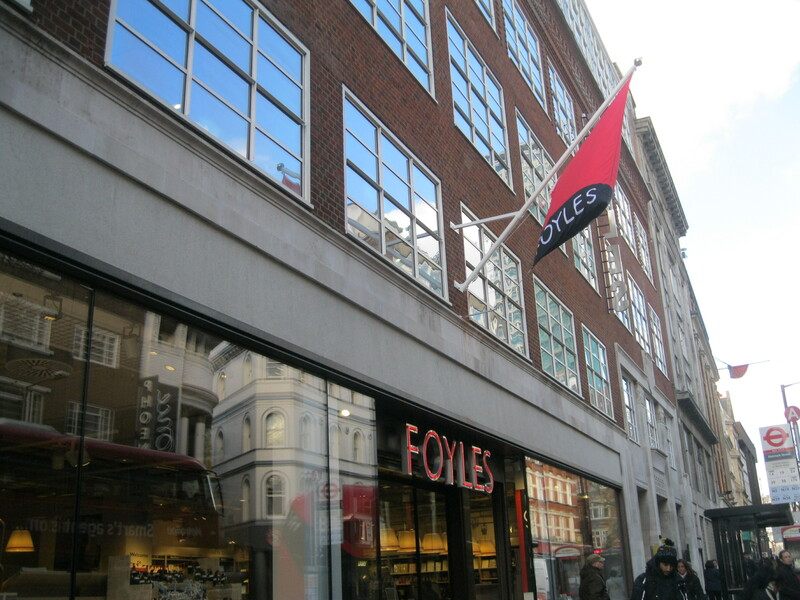 I celebrated by buying books at the London Review Bookshop (including a beautiful edition of Teffi’s short stories published by the independent Pushkin Press) and attending The Big Bookshop Debate at Foyles. I hope you did something equally enjoyable! 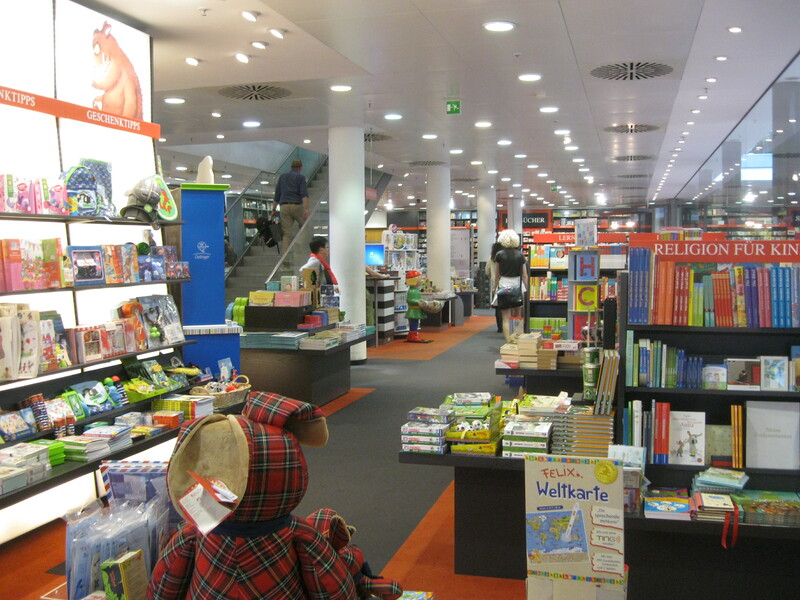 and the massive booklovers’ paradise Dussman Das Kulturkaufhaus, also in beautiful Berlin. You’ll be meeting them all soon. In the meantime, use this week as a chance to visit your regular or explore a new indie. Find a new book you would never know to look for. It will certainly make your day and it might just change your life.